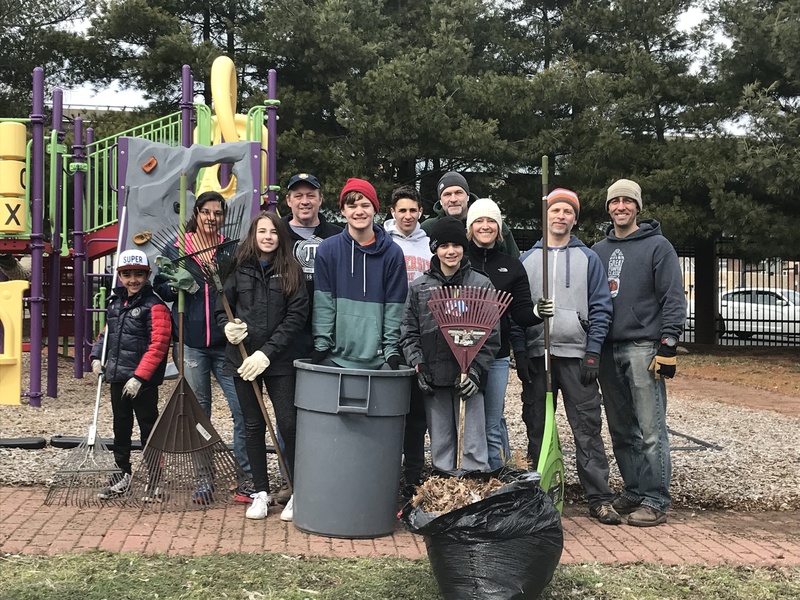 Weeding and spring clean up of the grounds of Cardinal Shehan Center in Bridgeport, Connecticut. 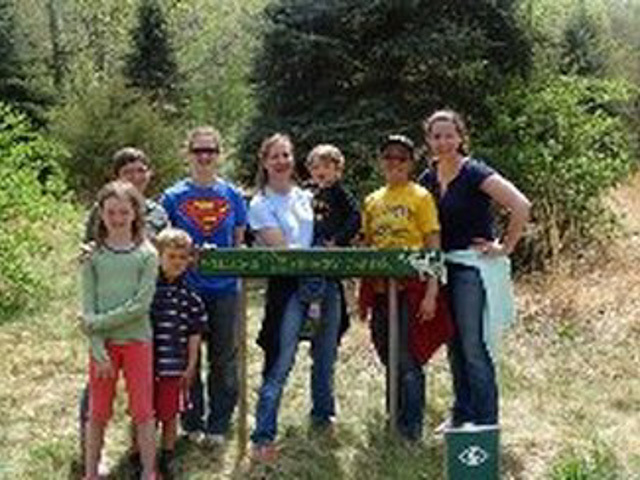 Our 100th Project!!!! Assembly of 115 fleece blankets for the pediatric patients of local hospitals in support of Brady’s Smile. 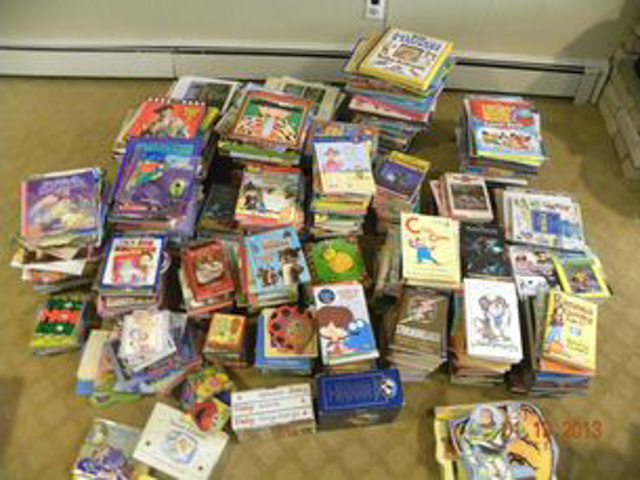 Collection and donation of 5635 children’s books to Read to Grow and Bridgeport Hospital Foundation. 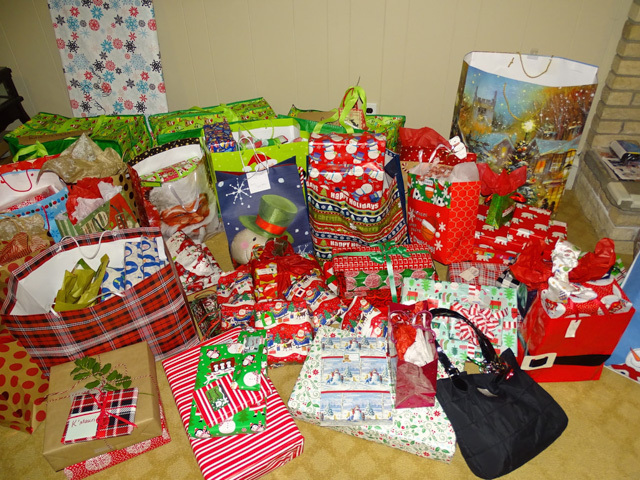 Sponsorship of 60 children for the holidays through Family ReEntry. 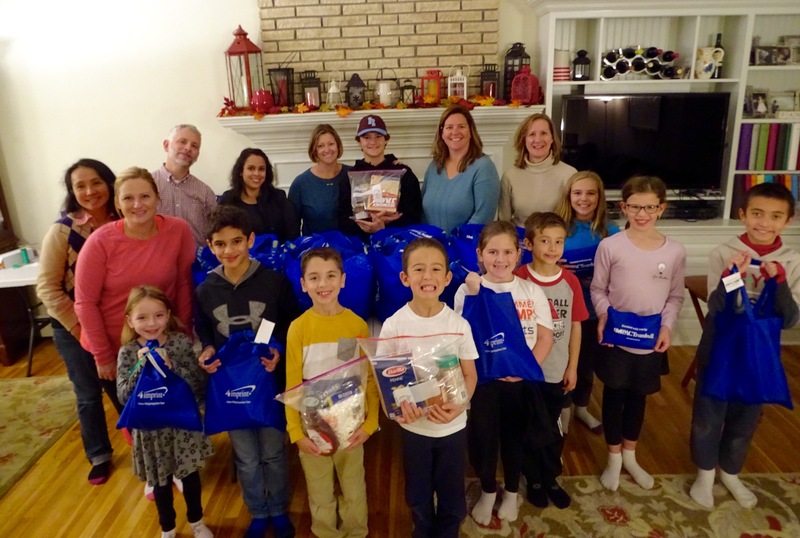 Collection, assembly, and donation of 400 Blessings Bags to Bridgeport Rescue Mission and United Congregational Church shelters and 25 Care Caddies to Trumbull Food Pantry. 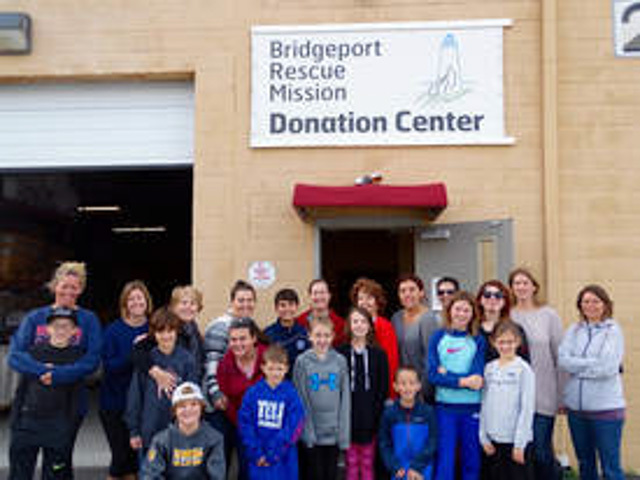 Organization of Bridgeport Rescue Mission‘s Donation Center to prep for their Great Thanksgiving Project. Donation of over 500 books and dozens of toys to the preschool of St. Andrew’s Preschool in Bridgeport. 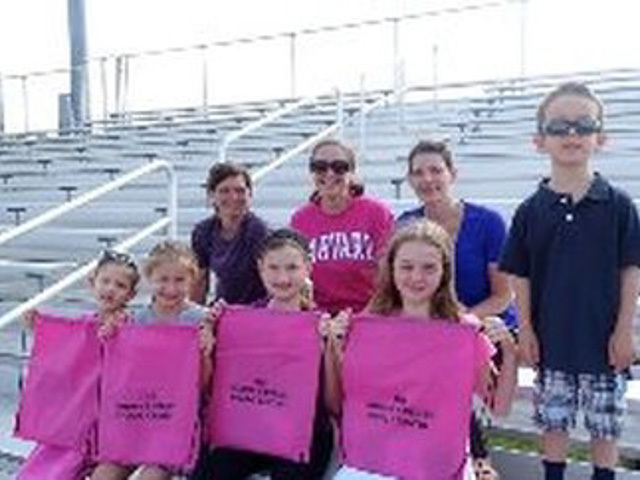 Assembly and donation of 210 Blessings Bags to Bridgeport Hospital Foundation and Prospect Street shelter. Assembly and donation of 20 Care Caddies to Homes for the Brave. 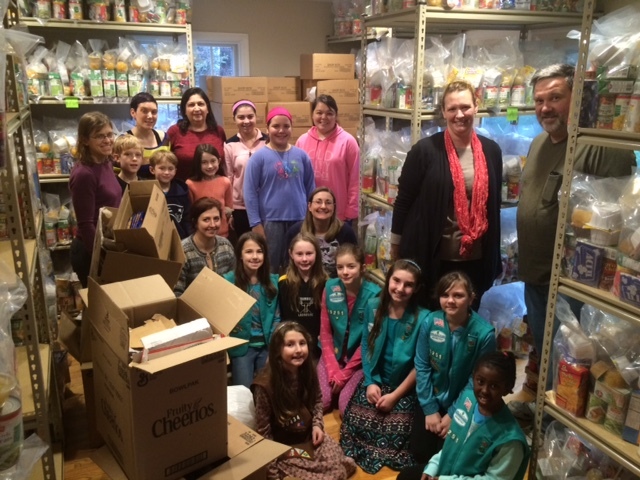 Assembly and donation of 45 Cooking Kits to Trumbull Food Pantry. 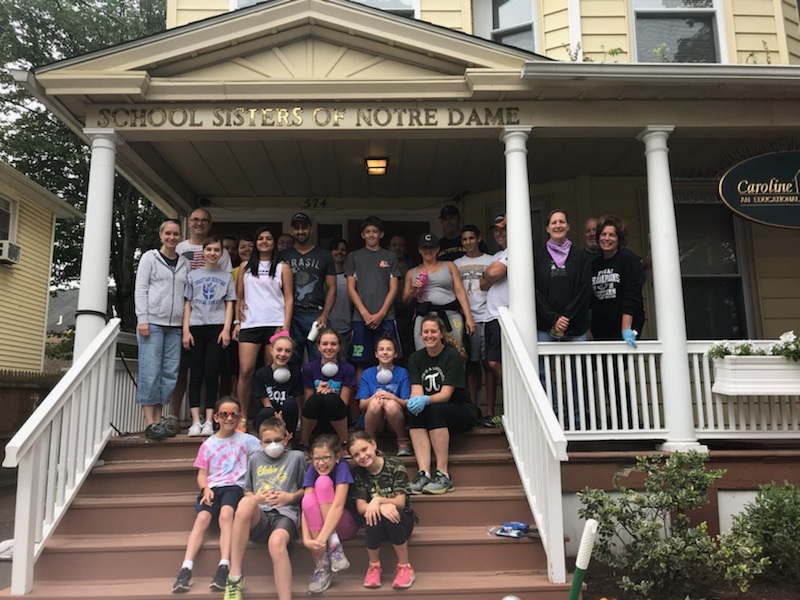 Over 20 volunteers sanded, cleaned, repaired, stained, and painted the front porch of The Caroline House in Bridgeport, Connecticut. 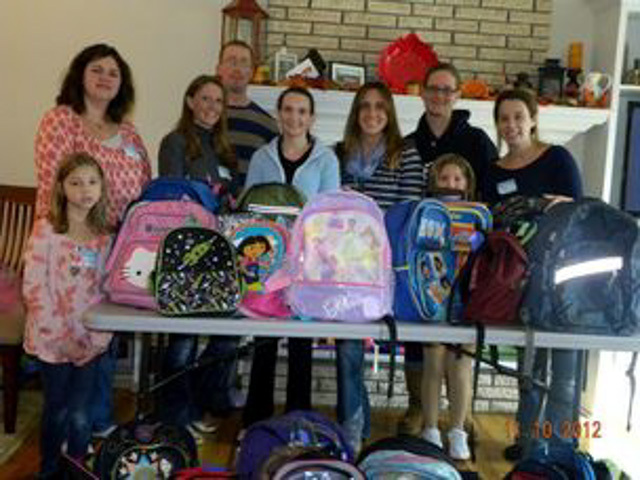 We also donated school supplies for the preschool program. 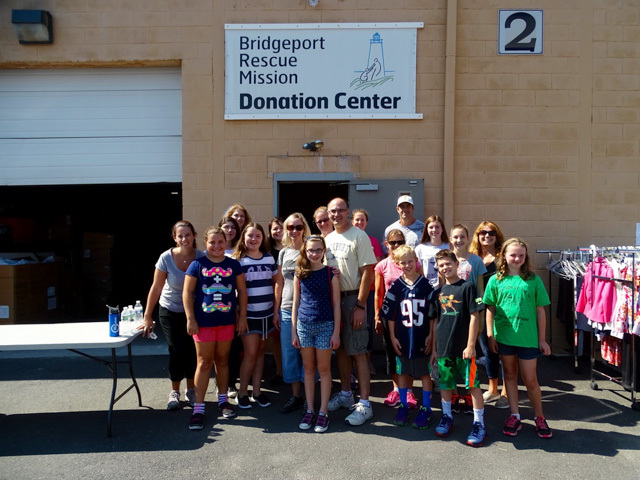 Collection, assembly, and donation of 330 Blessings Bags to Bridgeport Rescue Mission and Bridge House, 30 Care Caddies to Trumbull Food Pantry, and 90 backpacks and school supply kits to The Center for Family Justice. 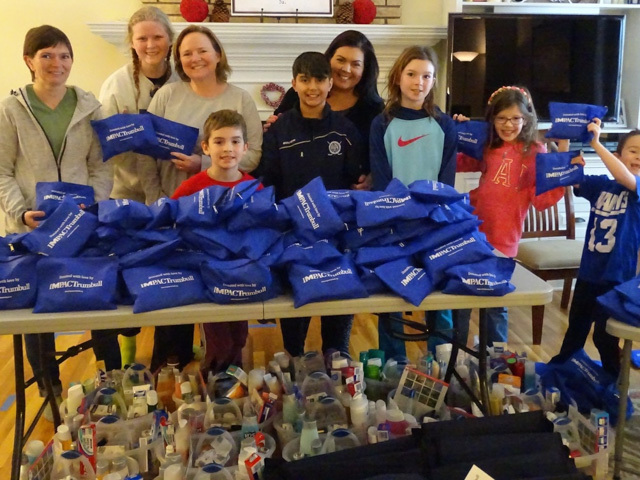 Assembly and donation of 400 Blessings Bags for the Umbrella Center, Bridgeport Hospital Foundation, and United Congregational Church shelters, 20 Care Caddies for the Trumbull Food Pantry, and 42 cleaning kits, baby kits, and care caddies for the women and children of Malta House. 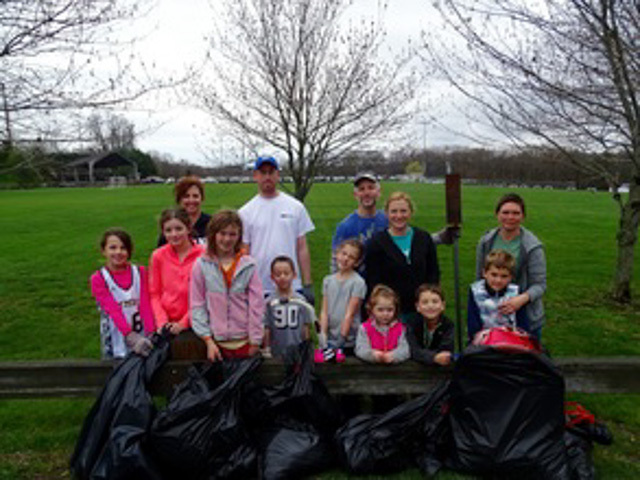 Spring clean up of Indian Ledge park and fields in support of Trumbull Community Women’s Tidy Up Trumbull. 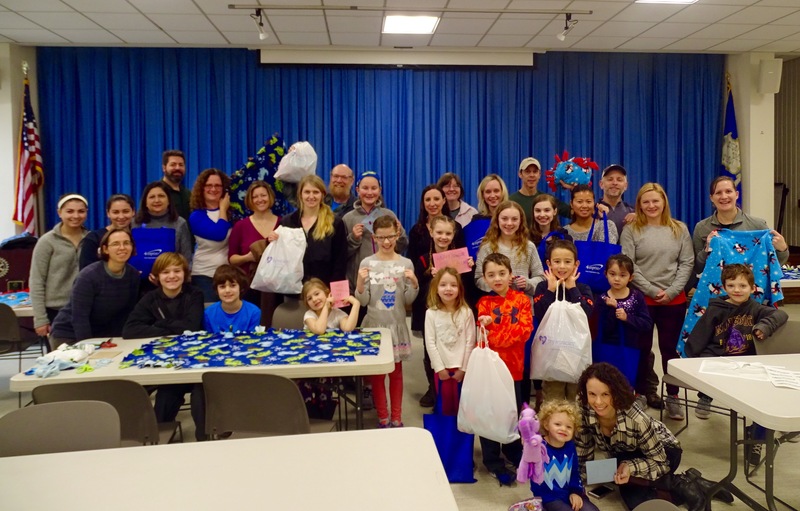 Assembly and donation of 375 Blessings Bags for United Congregational Church shelter, Prospect Street shelter, and Spooner House; assembly and donation of 20 Care Caddies for Homes for the Brave. 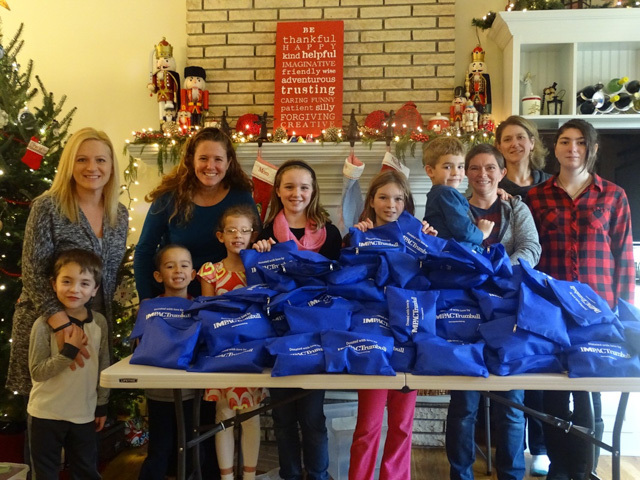 1,000 Blessings Bags assembled and donated to Bridgeport Rescue Mission, Center for Family Justice, Thomas Merton House, and United Congregational Church shelters. 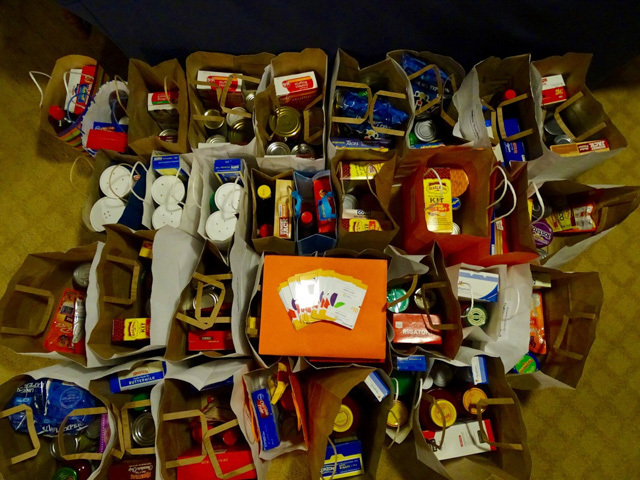 67 “Cooking for our Neighbors Kits” and $500 in Stop & Shop gift cards donated to The Trumbull Food Pantry. 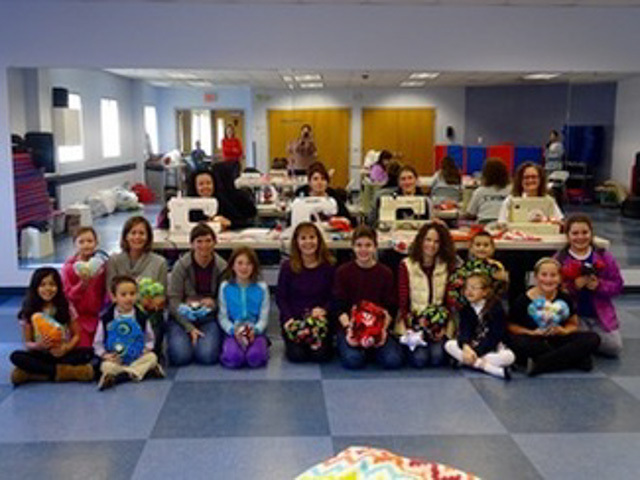 Assembly and donation 60 fleece blankets for children in hospitals in support of The Binky Patrol of Southern Connecticut. 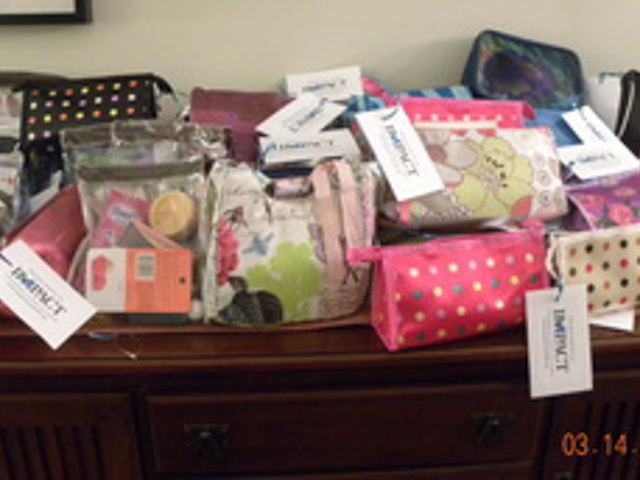 Donation of 30 fleece blankets created for preemies in the Intensive Care Unit, 30 sibling comfort bags with new books and coloring books and crayons, and 30 parent comfort bags filled with toiletries, notebooks, and writing utensils donated to The Tiny Miracles Foundation. 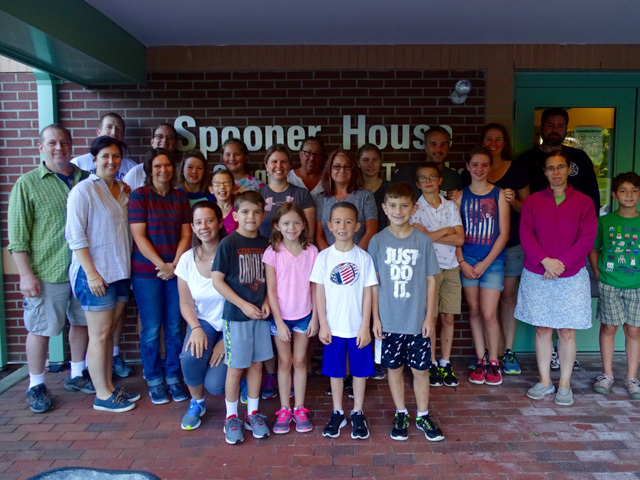 Assembly and donation of 310 Blessings Bags to Prospect Street shelter, United Congregational Church’s shelter, and Bridge House; 22 Cinch Caddies to Cardinal Shehan Center; 25 Care Caddies to Trumbull Food Pantry, and 20 Care Caddies to Ronald McDonald House. 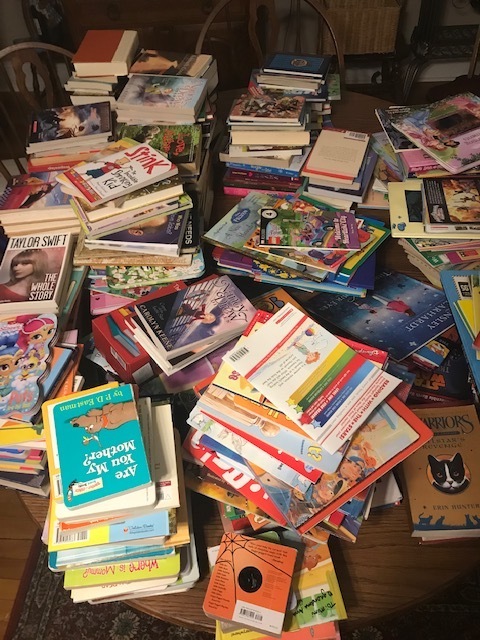 Over 4500 books donated to Read to Grow in New Haven, Connecticut which distributes to local children. 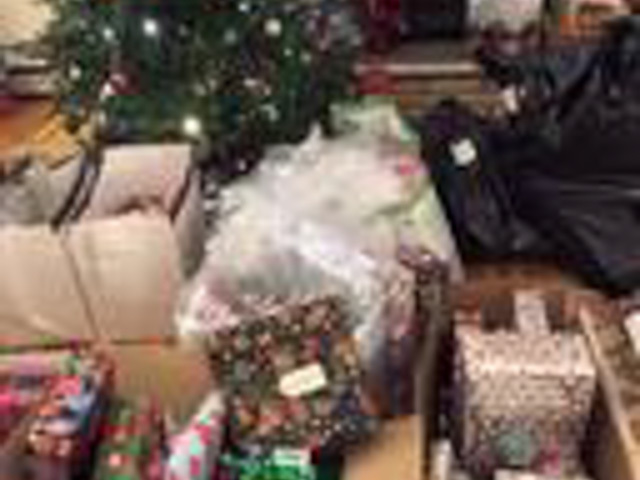 Elfing of 60 children for the holidays with over 400 gifts, in support of Family ReEntry. 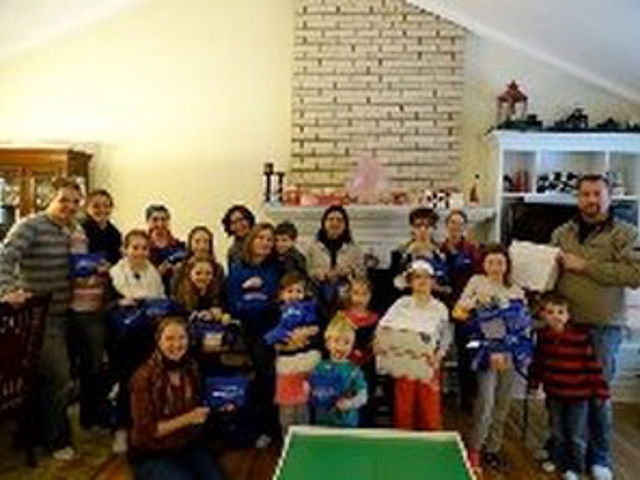 Donation of 340 Blessings Bags to Bridgeport Rescue Mission and United Congregational Church shelter, and donation of 20 Care Caddies to Homes for the Brave. 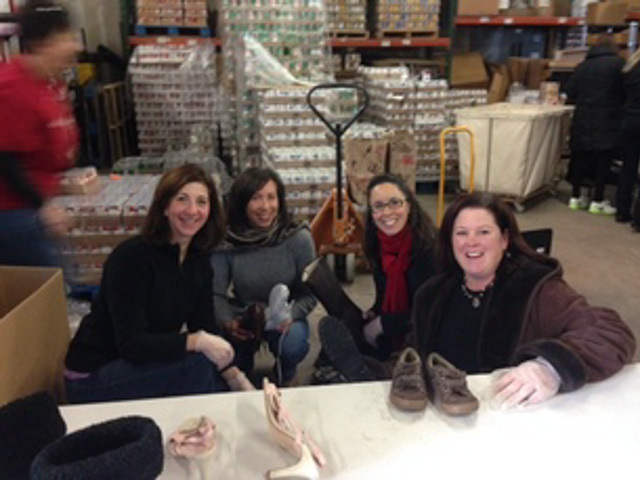 Organization and prepping of hundreds of coats for Bridgeport Rescue Mission’s Great Thanksgiving Project. 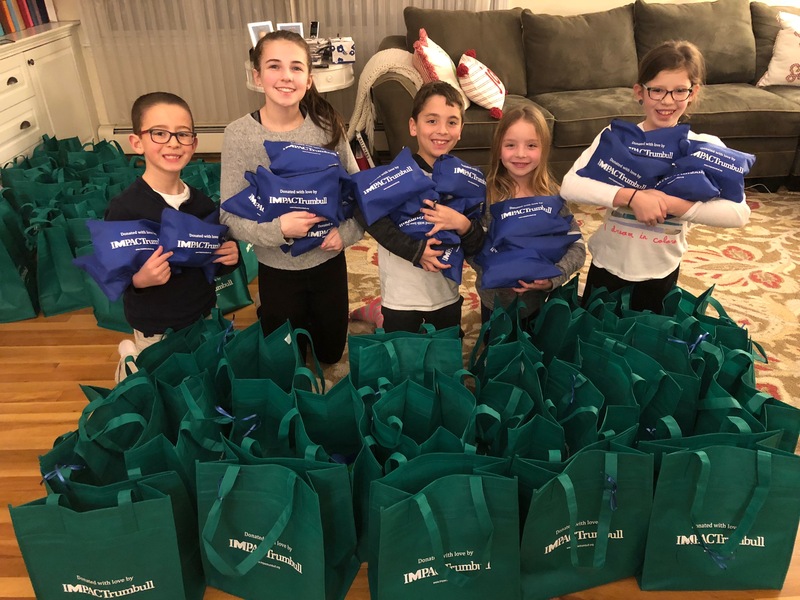 Assembly and donation of 250 Blessings Bags for Hidden Treasurers Within, 20 Care Caddies for Trumbull Food Pantry, and 30 Comfort Bags for the patients of the Norma Pfriem Cancer Center in Fairfield. 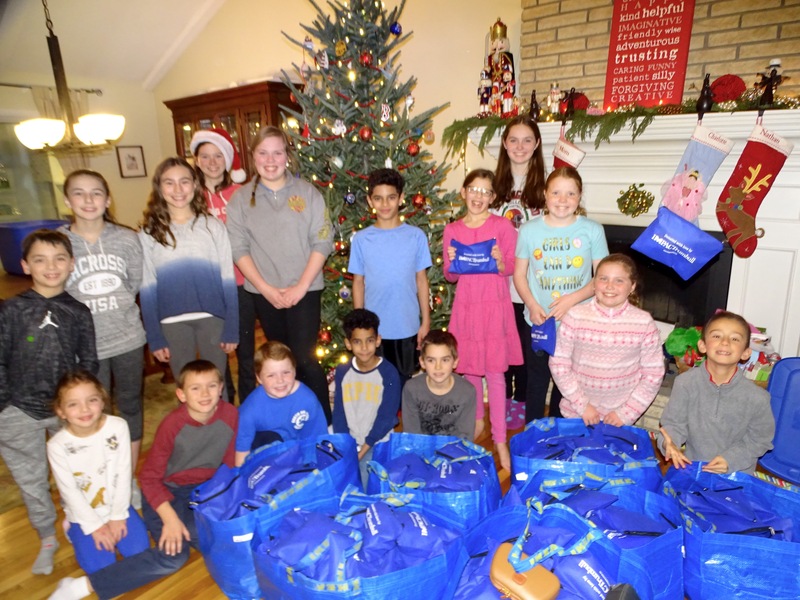 250 Blessings Bags donated to Thomas Merton House, 25 Care Caddies donated to Homes for the Brave and Trumbull Food Pantry, and 100 backpacks and 80 school supplies kits donated to the Center for Family Justice and Trumbull Social Services. 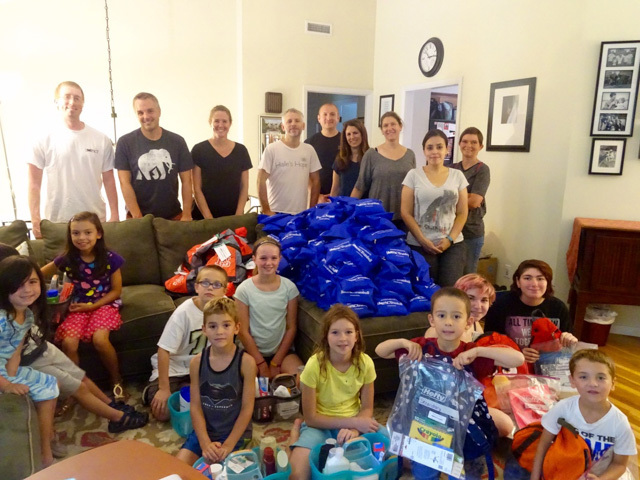 Assembly of 25 Camp TeePee kits for the children sponsored by The Center for Family Justice, and 25 Care Caddies for the Ronald McDonald House in New Haven and 220 Blessings Bags for the Center for Family Justice and Prospect House, sponsored by Vazzy’s Osteria in Monroe. Assembly of 800 weekend lunches for Stamford school children in support of Filling in the Blanks. 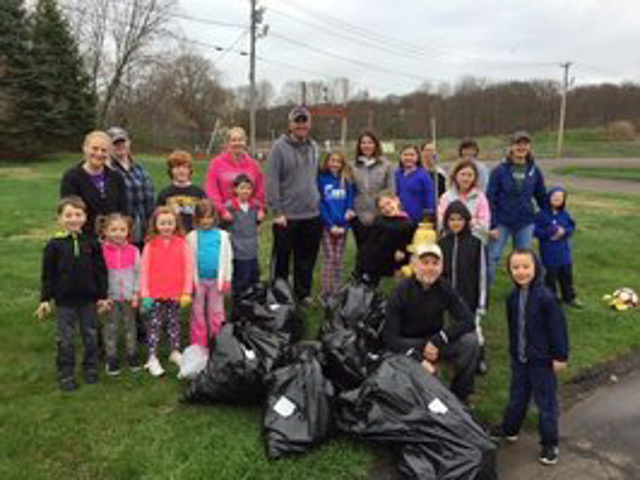 Spring clean up (27 bags of debris and garbage!) 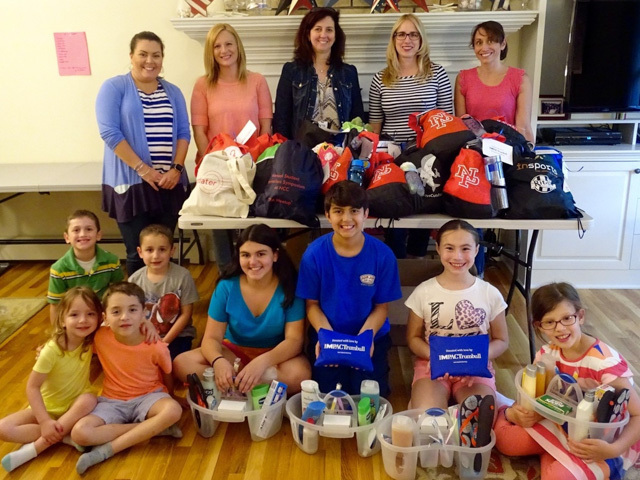 of Cardinal Shehan Center in Bridgeport and donation of 40 Cinch Caddies of hygiene items, sponsored by Unilever, for their Empowering Girls program. 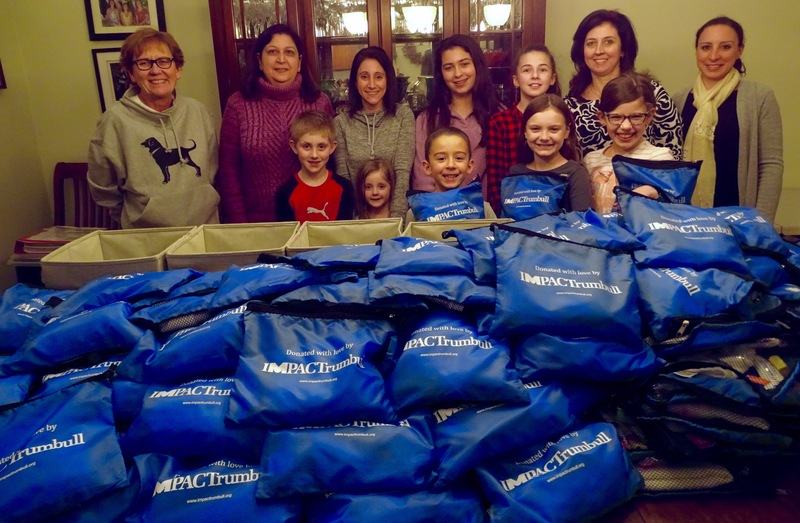 Assembly of 260 Blessings Bags for Bridgeport Rescue Mission and Bridge House, 35 Care Caddies for Trumbull Food Pantry, and 45 Cooking for our Community Kits and $300, sponsored by Prime 111, in gift card to Stop & Shop for Trumbull Food Pantry. 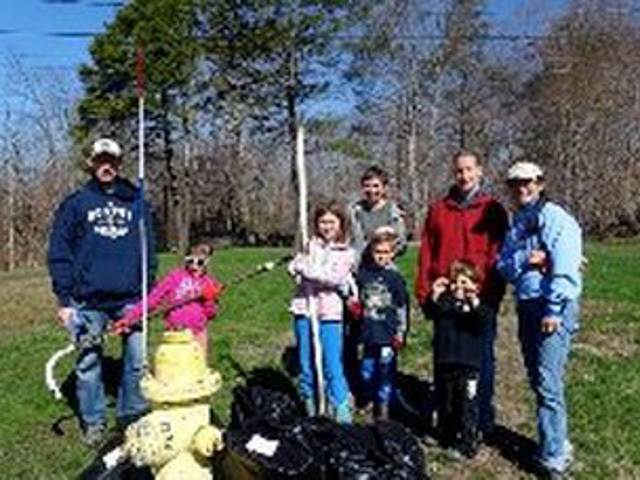 Spring up of Indian Ledge Park as part of Trumbull Community Women’s Tidy Up Trumbull. 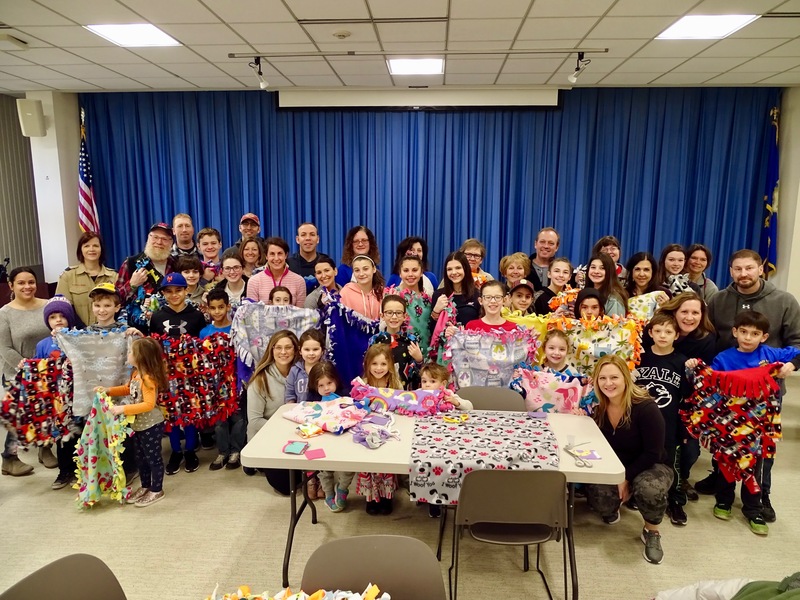 Creation of 22 fleece blankets, 46 decorated pillow cases, and 50 friendship bracelet kits for the teenage patients of the Smilow Cancer Center in Trumbull, sponsored by MNI, a division of Invirco, Inc. 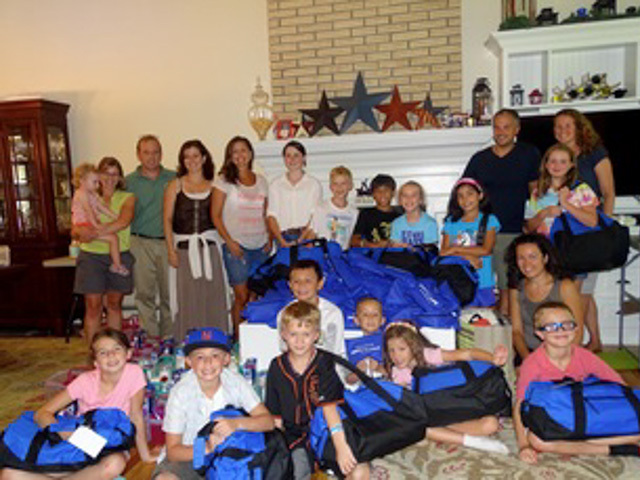 Assembly of 25 Care Caddies to Homes for the Brave, with donations from Unilever, and sponsored by MNI. 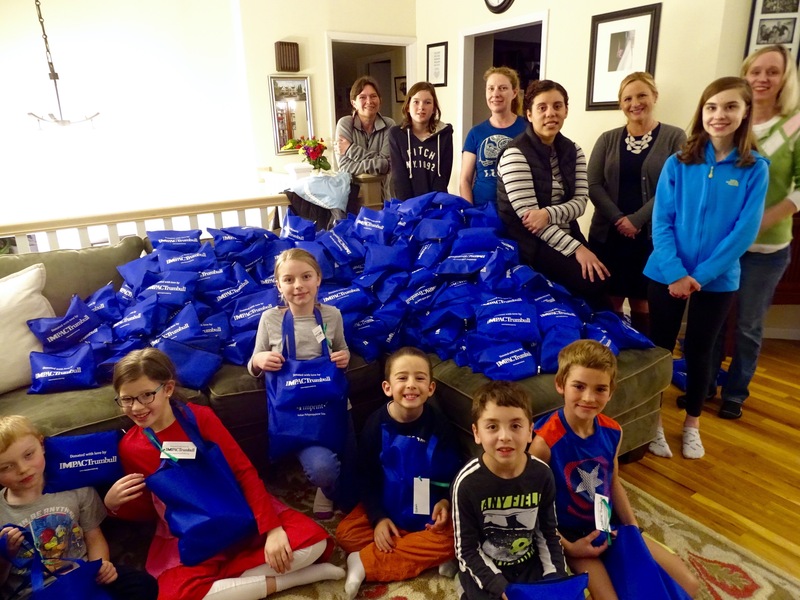 Assembly of 250 Blessings Bags to Bridgeport Rescue Mission and Prospect House, 20 Cinch Caddies to Trumbull Food Pantry, and 20 Care Caddies to a young mother’s shelter in New Haven. 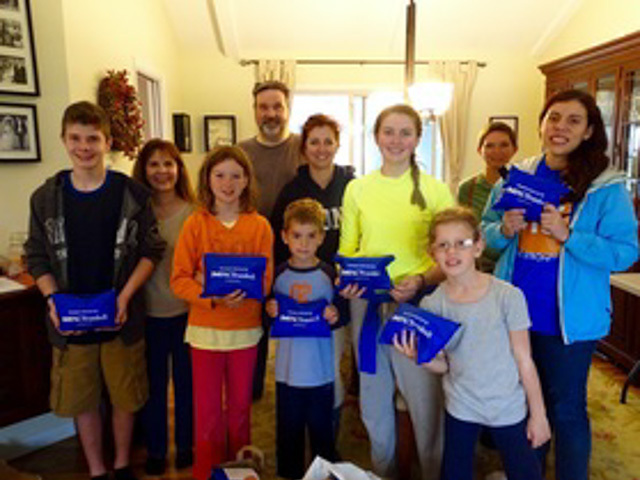 Assembly of pillows for the children undergoing surgeries at Yale New Haven Children’s Hospital, in support of Kisses from Katie. 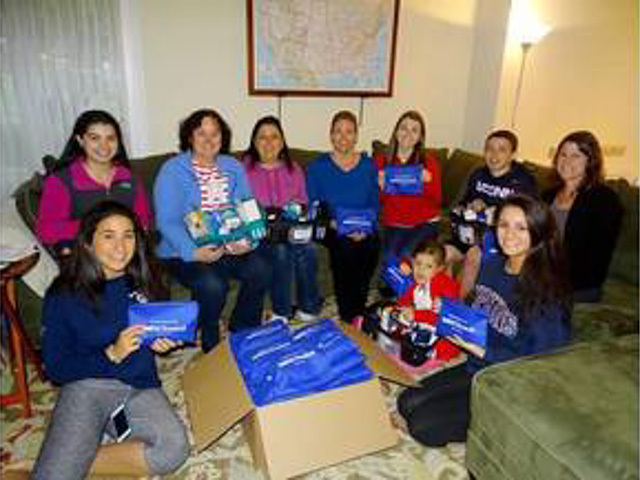 Donation of 150 pairs of socks to Bridgeport Rescue Mission. 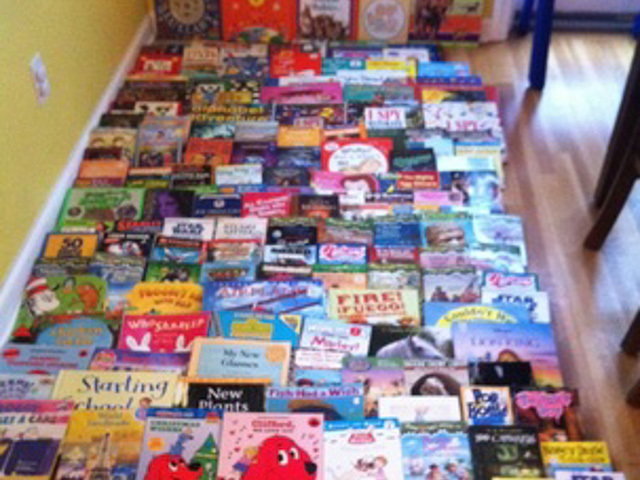 Donation of 3500 books for Read to Grow. 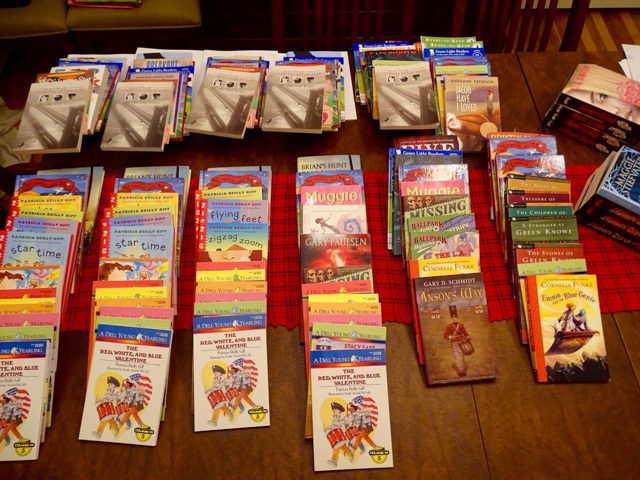 Donation of 125 books, from Dinosaur’s Paw in Newtown, to 7 Trumbull schools, and 6 Bridgeport elementary schools. 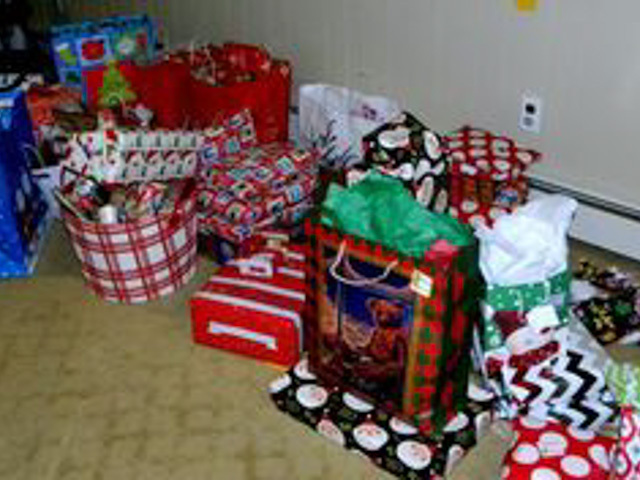 Sponsorship of 55 individuals for the holiday, through Trumbull Social Services and Family ReEntry. 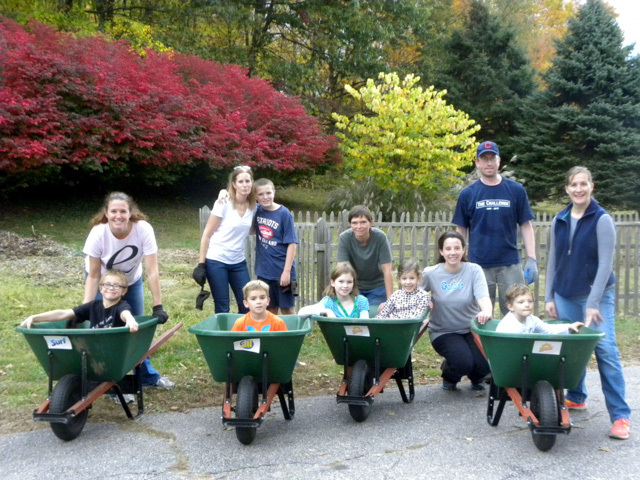 Donation of 230 Blessings Bags to Bridgeport Rescue Mission and the Food Pantry of the United Congregational Church, 12 Care Caddies donated to the Trumbull Food Pantry, and 15 Cinch Caddies donated to Homes for the Brave. 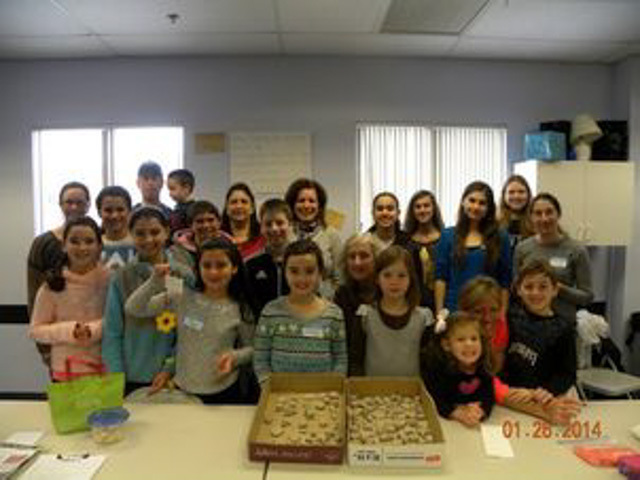 40 Cooking Kits, 10 frozen meals, and $350 in Stop & Shop gift cards donated to Operation Hope in Fairfield. 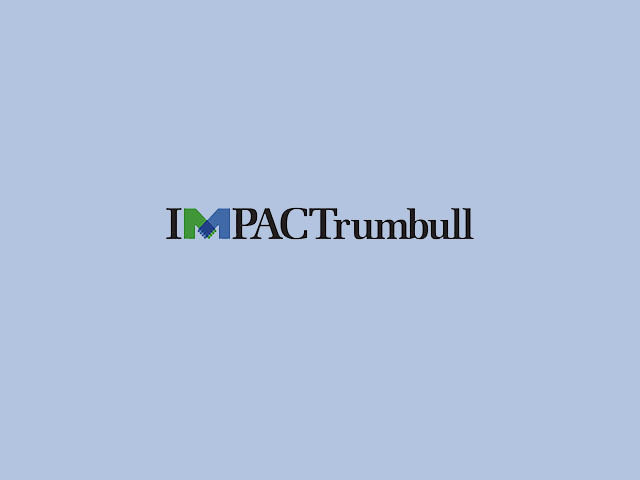 Special thanks to the Trumbull Rotary for their $300 grant for gift cards. 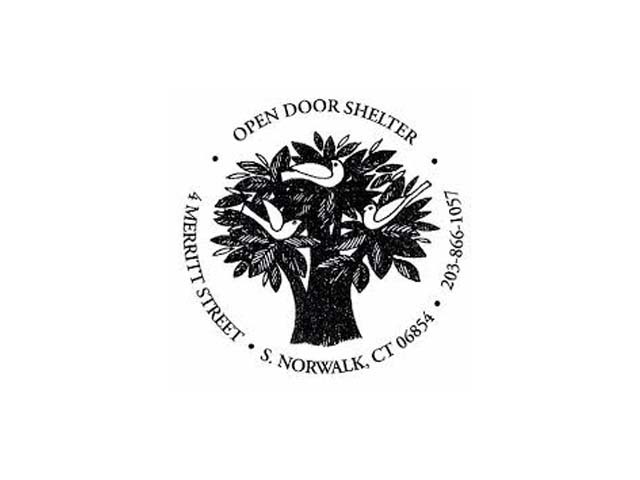 Fall Festival for the families of the Open Door Shelter in Norwalk, with pumpkins, crafts, snacks, and new books for the children. 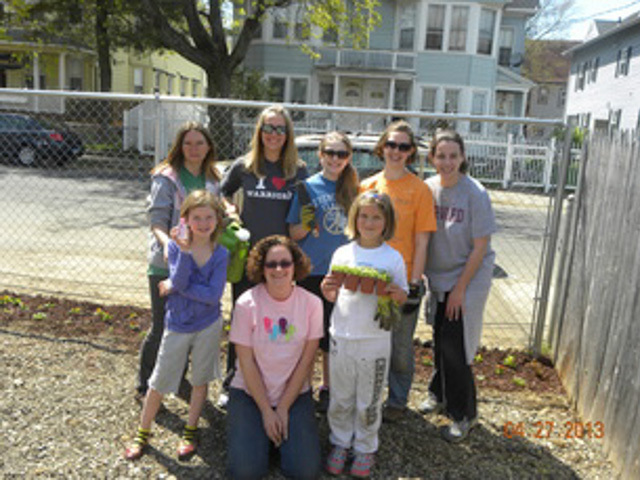 Over 20 members weeded the gardens of Burroughs Community Center in Bridgeport. 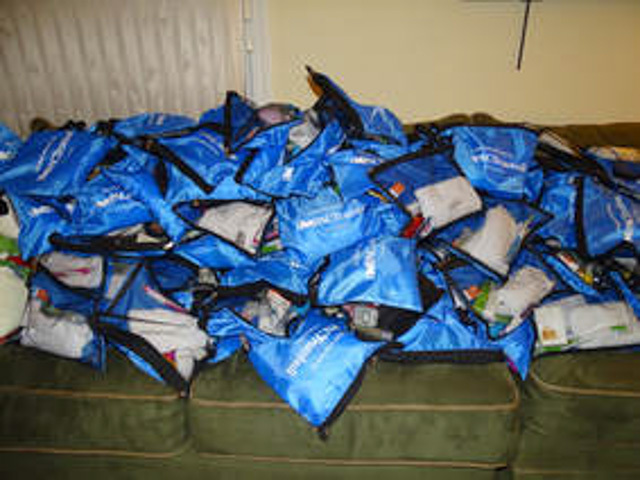 Assembly of 310 Blessings Bags donated to Bridgeport Rescue Mission, Prospect House, and Bridge House; assembly of 15 Cinch Caddies and 10 Care Caddies donated to Trumbull Food Pantry, assembly of 22 Care Caddies donated to Homes for the Brave; assembly of 60 school supplies kits and 70 backpacks donated to Family ReEntry. 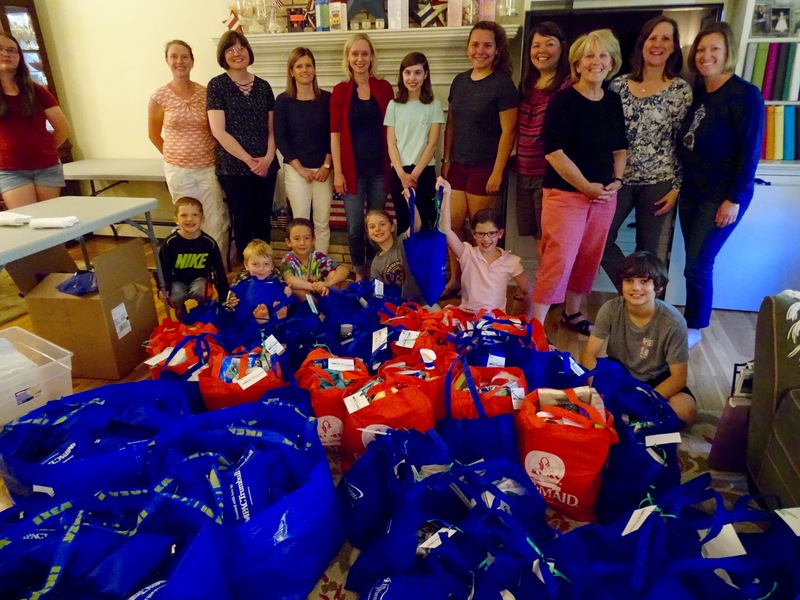 Assembly of 180 Blessings Bags for Operation Hope in Fairfield and Thomas Merton House, 20 Cinch Caddies for Bridge House, 15 Cinch Caddies for Trumbull Food Pantry, and 25 Care Caddies for Homes for the Brave. 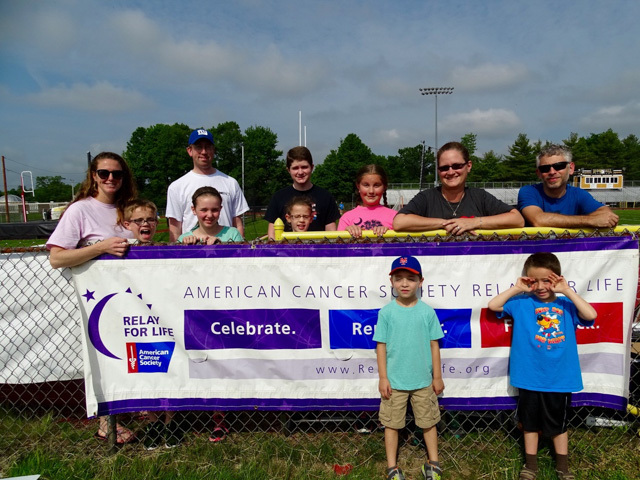 Set up for Relay for Life in Trumbull in support of the American Cancer Society. 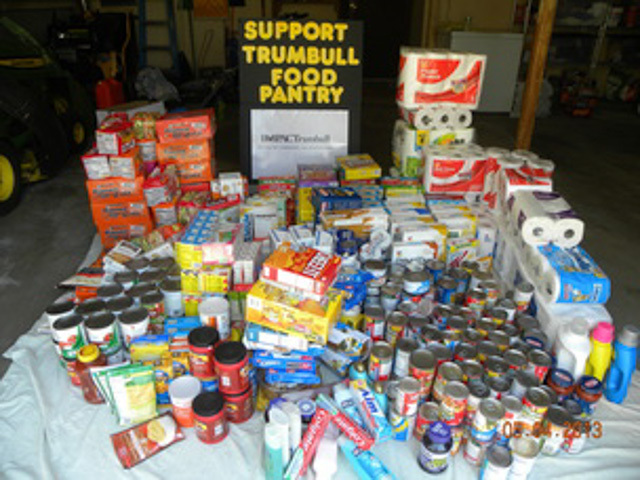 Food Drive to support Trumbull Food Pantry. 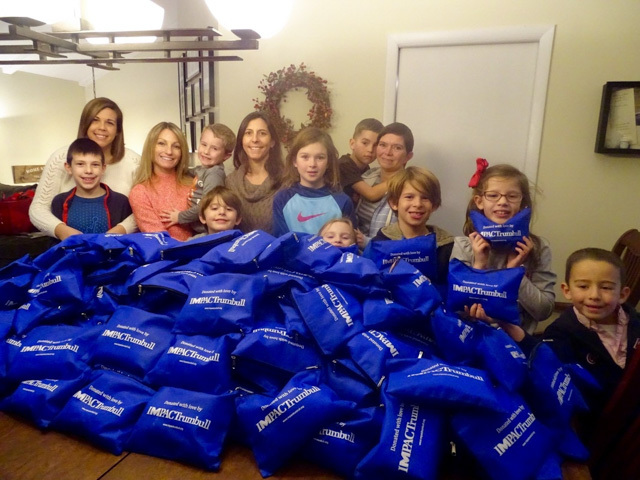 Assembly of 235 Blessings Bags for Bridgeport Rescue Mission and Prospect House, 25 Care Caddies for Trumbull Food Pantry, and 30 Cinch Caddies for Bridge House. 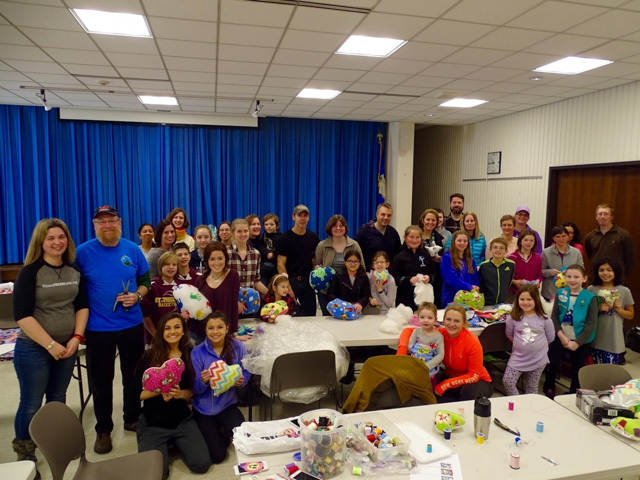 Creation of 75+ fleece pillows for the children at Yale New Haven Children’s Hospital, in support of Kisses from Katie. Assembly of 100 fleece blankets for Brady’s Smile. 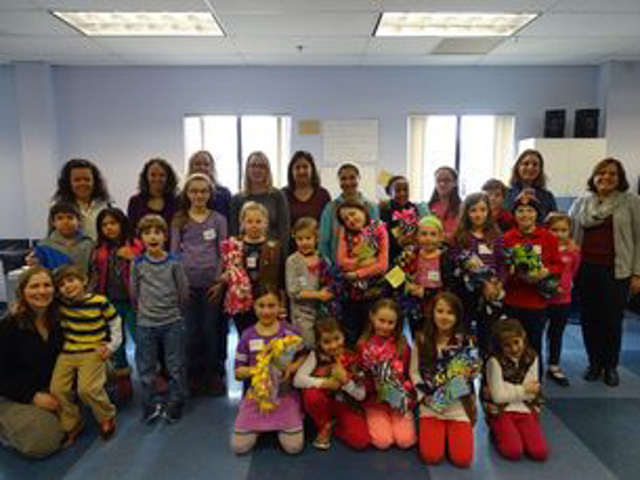 Donation of crayons, markers, and coloring books for their Smiles Bags. 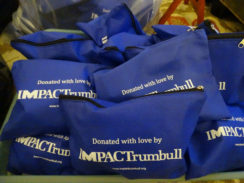 Assembly of 235 Blessings Bags, donated to Bridgeport Rescue Mission and the United Church in Bridgeport, and 25 Care Caddies, donated to the Trumbull Food Pantry and Homes for the Brave. Assembly of 2400 school lunches for Stamford School children, in support of Filling in the Blanks. 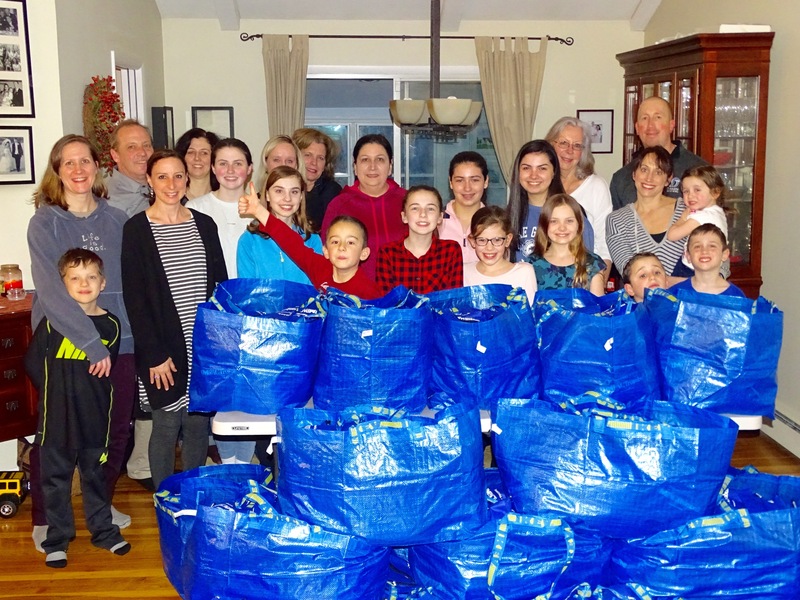 Assembly of 280 Blessings Bags, donated to Bridgeport Rescue Mission, Prospect House, and Operation Hope; Assembly of 18 Care Caddies, donated to Trumbull Food Pantry. 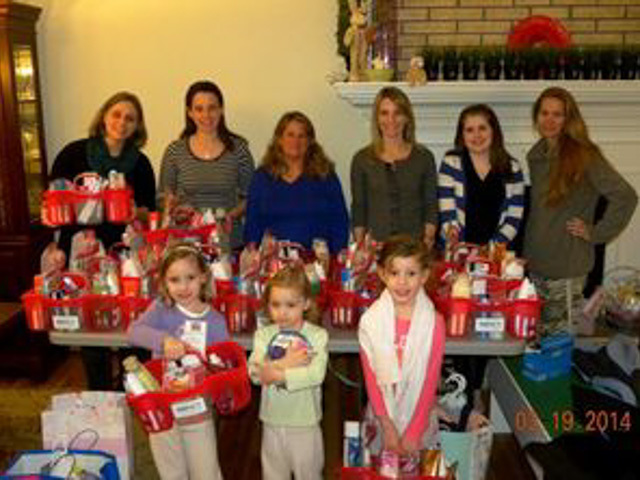 Sponsorship of 15 Trumbull families for the holiday season with gifts and Care Caddies, through Trumbull Social Services. 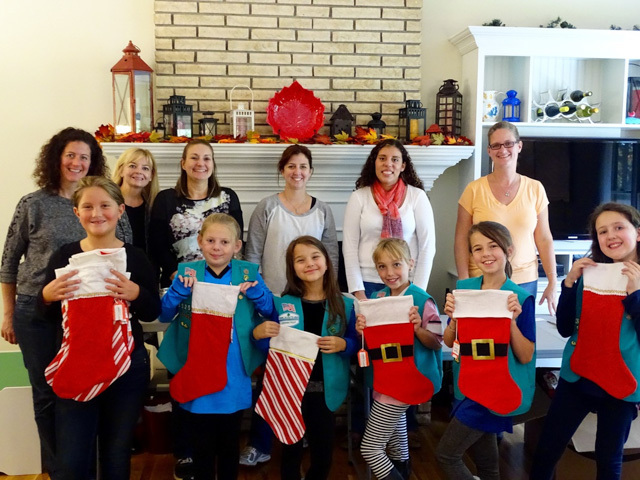 115 stockings filled with items, in support of Hungry Kidzz. 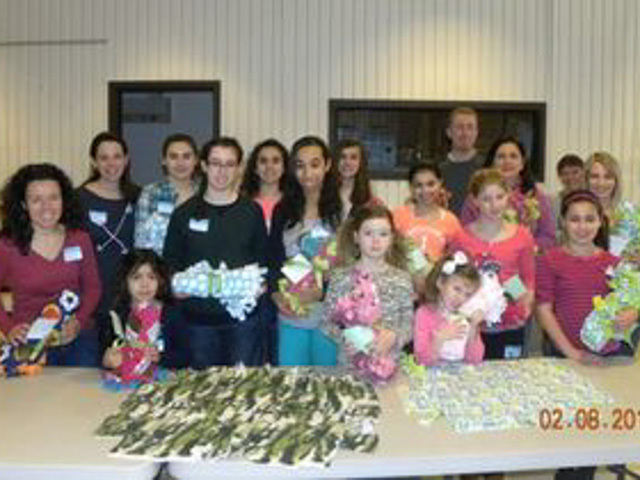 Assembly of 155 Blessings Bags, donated to Bridgeport Rescue Mission and Homes for the Brave. 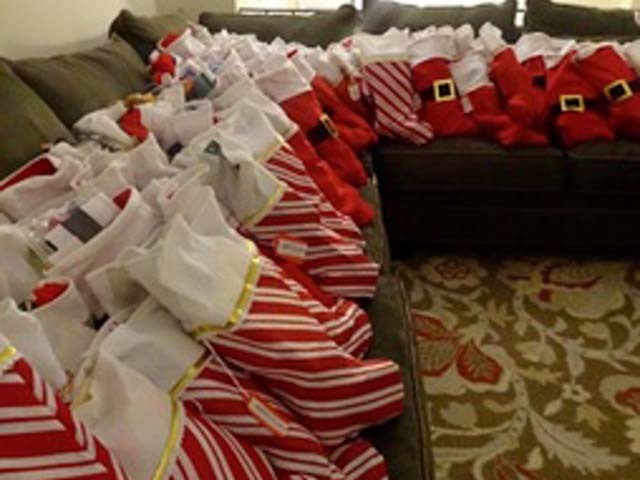 Prepping of 100 stockings, to be filled with small trinkets and donated to Hungry Kidzz. 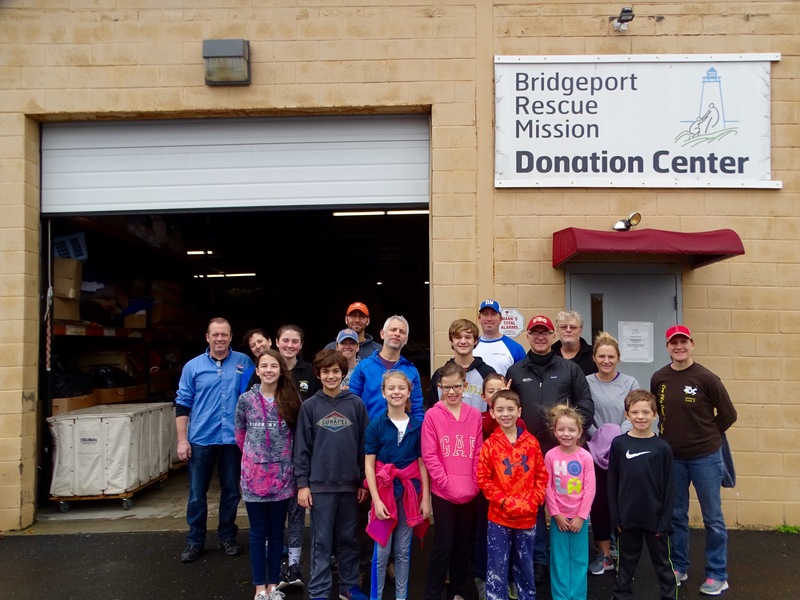 Packing of food kits and hygiene supplies and organization of donated clothes at Bridgeport Rescue Mission’s Donation Center. 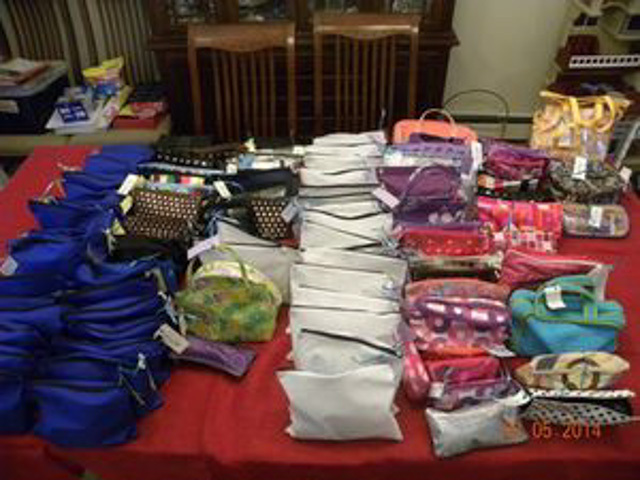 Assembly of 210 Blessings Bags for United Congregational Church food pantry in Bridgeport, 26 Care Caddies for Bridge House and Trumbull Food Pantry, 34 Sweet Cases for the children of St. Vincent’s Special Needs Services in Trumbull, and 54 backpacks and school supply kits for Family Reentry in Norwalk. 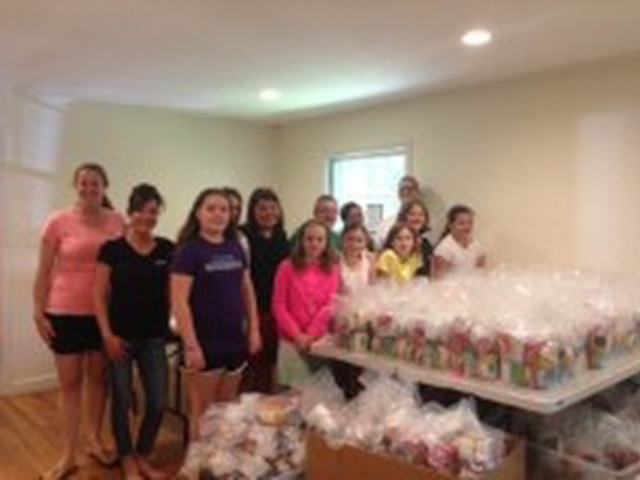 Assembly of 120 Blessings bags for Bridgeport Rescue Mission and 16 Care Caddies for the Trumbull Food Pantry. Assembly of 400 lunches for Stamford school children, in support of Filling in the Blanks. 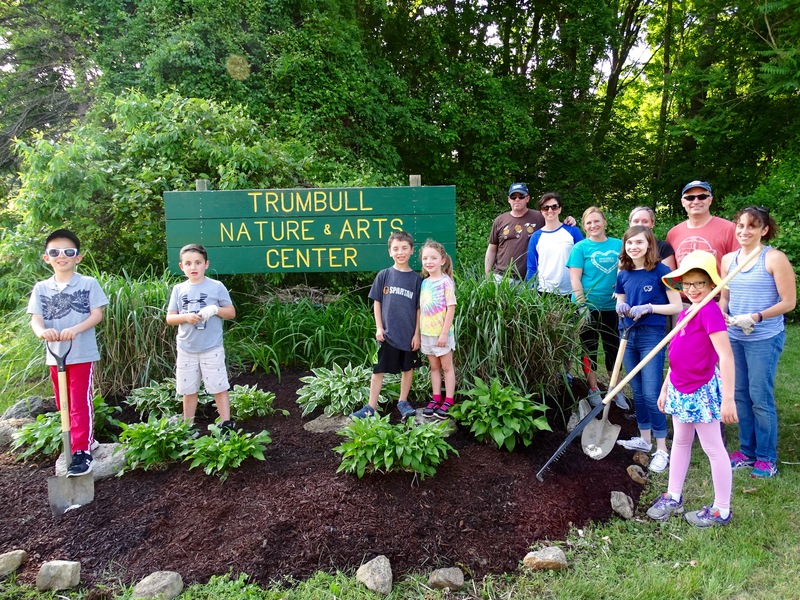 Planting of a new sensory garden at the Trumbull Nature & Art Center. 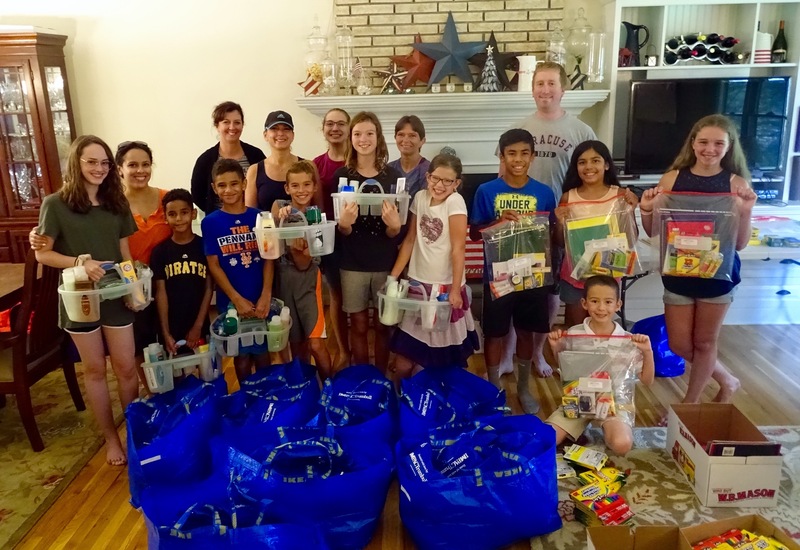 Assembly of 175 Blessings Bags for Bridgeport Rescue Mission, Trumbull Food Pantry, and Homes for the Brave, and 10 shower caddies for Homes for the Brave. 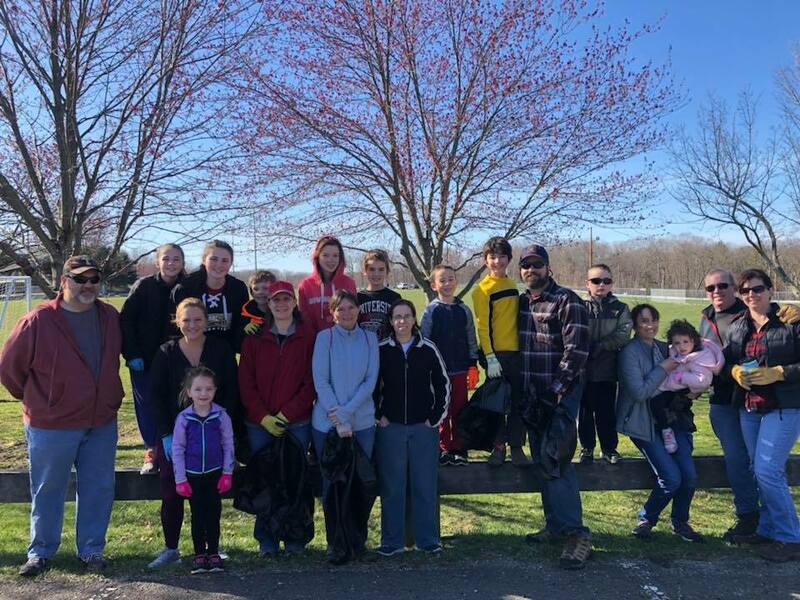 Clean up of Indian Ledge Park, as part of Trumbull Community Women’s Tidy Up Trumbull. 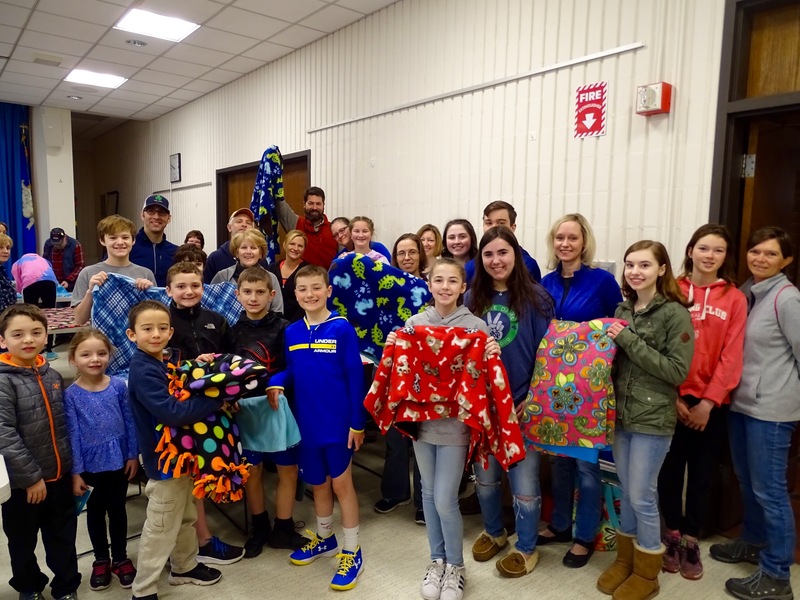 Creation of 90 fleece blankets for Children in the ICU at Bridgeport and Yale New Haven Children’s Hospitals, in support of Brady’s Smile. 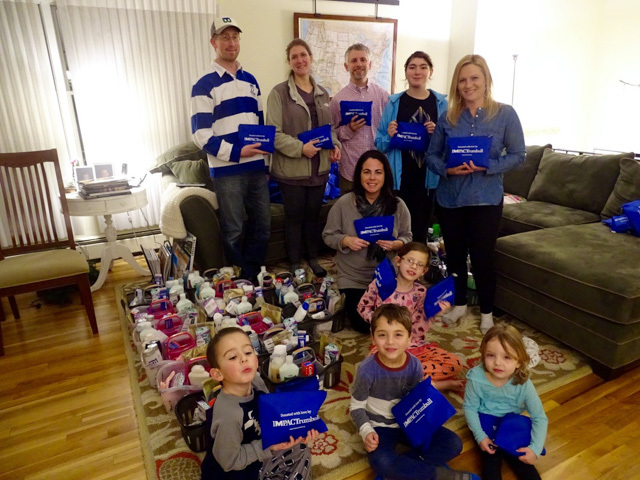 Assembly of 100 Blessings Bags for Thomas Merton House in Bridgeport, 60 Blessings Bags for Bridgeport Rescue Mission, 20 shower caddies for Homes for the Brave women’s guest house, and 8 care packages for Connecticut National Guard troops deployed overseas. 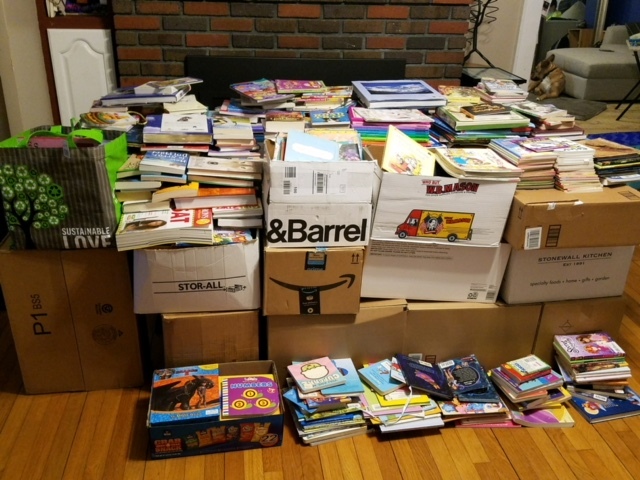 Collection of 3700 books from members and the Trumbull community to donate to Read to Grow, a local nonprofit, whose mission is to promote early childhood literacy in Connecticut. 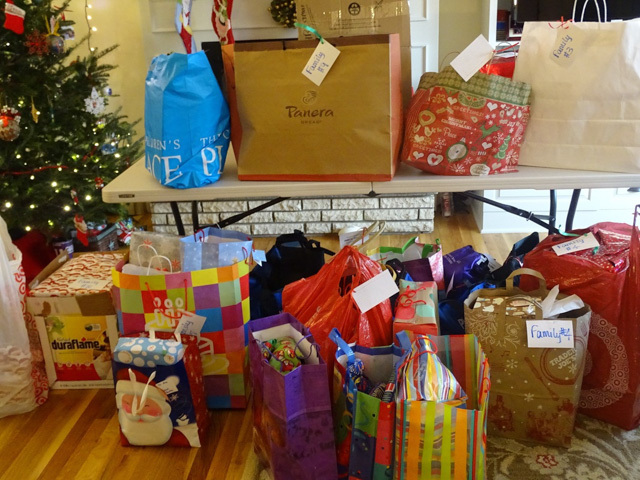 Sponsorship of 11 local families with Christmas presents and 11 Care Caddies of hygiene products donated to Trumbull Social Services. Volunteering for Bridgeport Rescue Mission’s Great Thanksgiving Project, helping to distribute care packages of food for Thanksgiving. 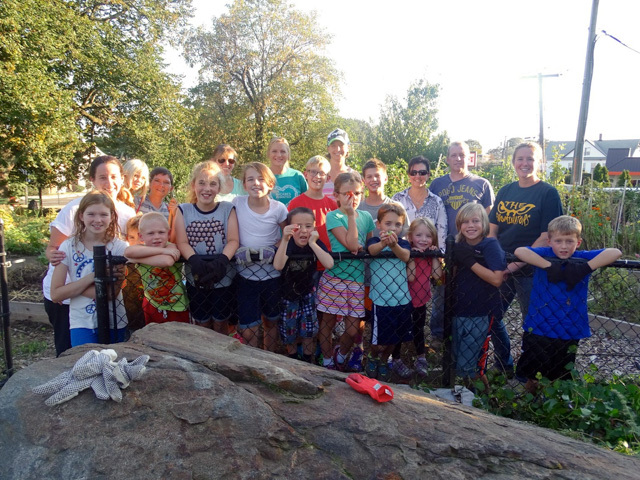 Fall clean up of the gardens and trails of the Trumbull Nature & Arts Center. 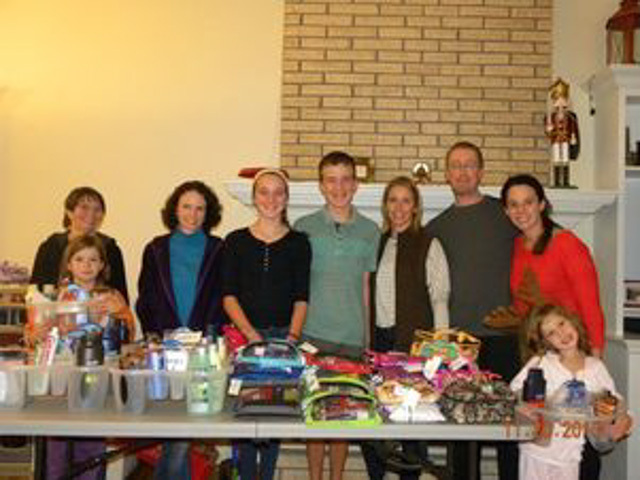 Assembly of 85 Blessings Bags to Bridgeport Rescue Mission and 15 shower caddies of full size items to Homes for the Brave. 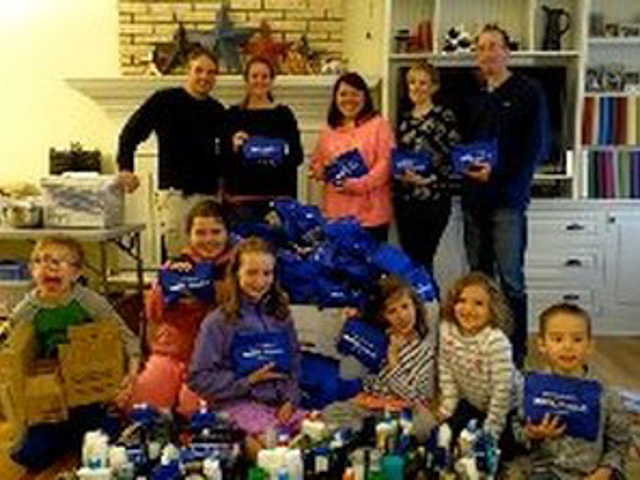 Assembly of 121 Blessings Bags to Bridgeport Rescue Mission, 54 Blessings Bags to Homes for the Brave and 5 shower caddies to Bridgeport Rescue Mission’s Guest House. 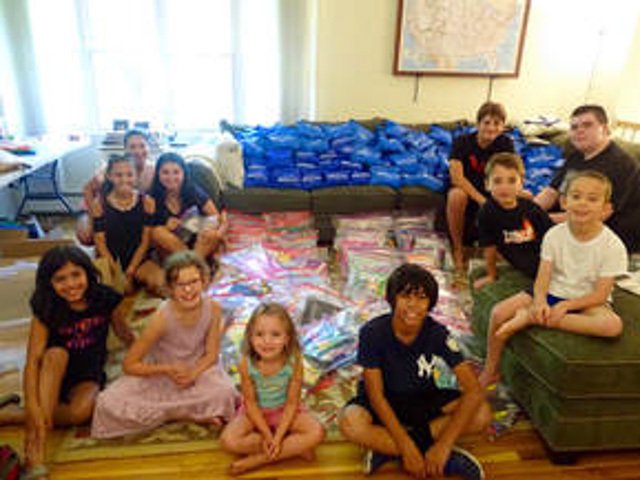 Assembly of 60 school supplies kits and 58 backpacks and 12 lunch boxes donated to Family Reentry. 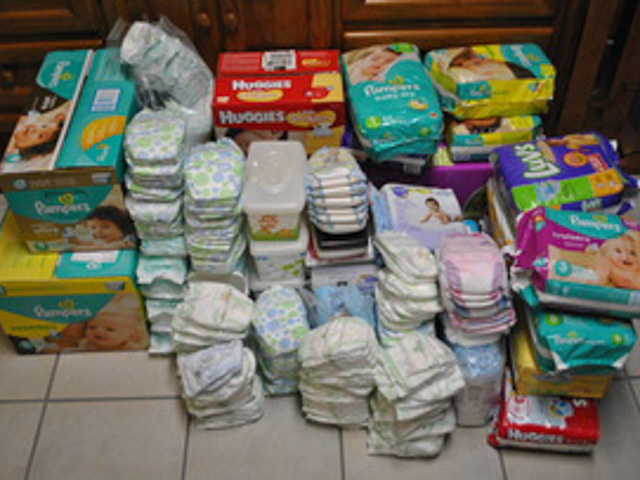 Donation of over 1600 wipes and over 1180 diapers to the Diaper Bank of Greater New Haven. 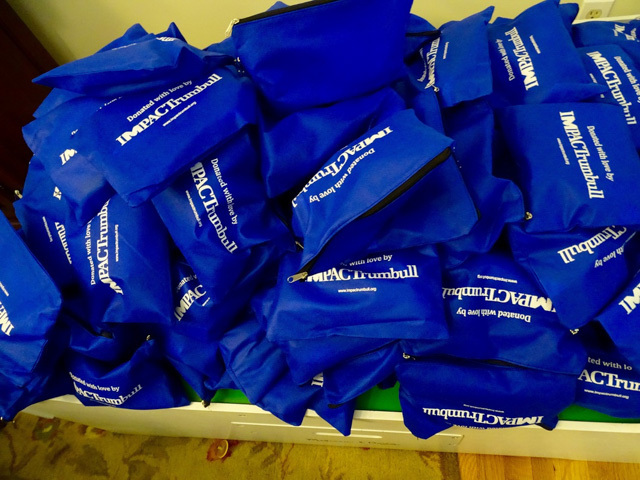 Assembly of 90 Blessings bags to donate to Bridgeport Rescue Mission, and 16 shower caddies of full size hygiene products to the men of Homes for the Brave. 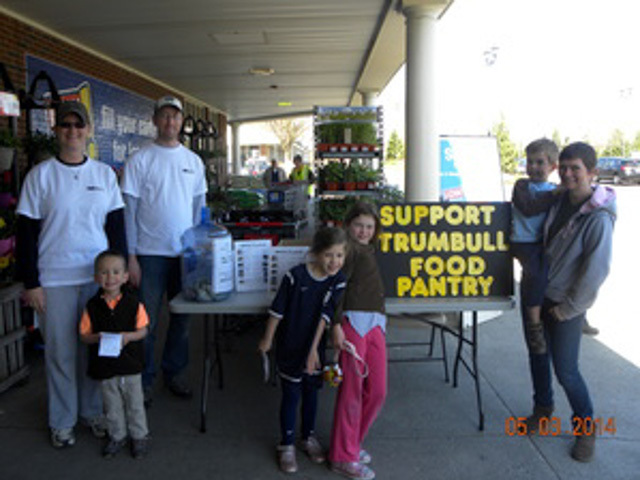 Food drive in front of Stop & Shop Trumbull, with over 500 items donated to the Trumbull Food Pantry. We also collected $500 in donations which will be donated to the Food Pantry and to use for future projects. 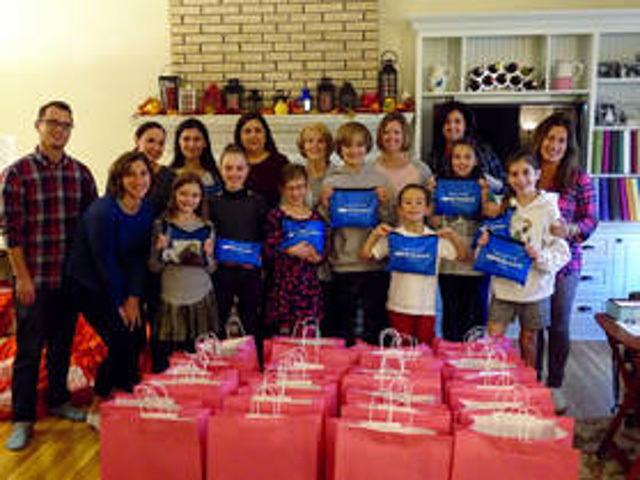 Assembly of 20 Care Caddies, 15 Sweet Dreams bags for the kids (each bag contained stuffed animal, book and lotion), another huge bag of stuffed animals, 30 outfits for young children and 88 Blessings Bags donated to the Domestic Violence Crisis Center in Norwalk. 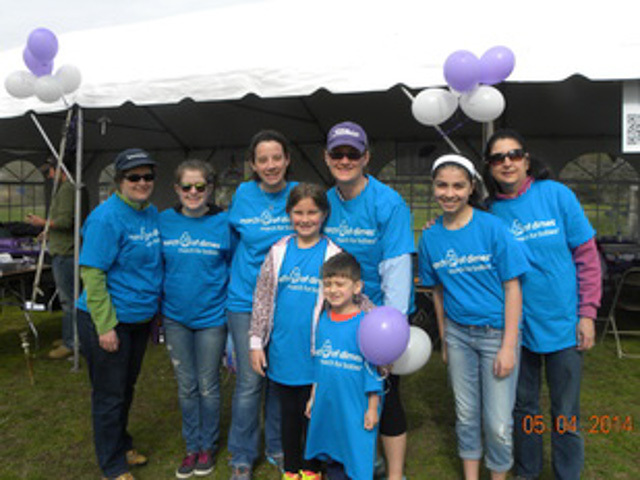 Set up and registration at the March of Dimes Walk in Fairfield. 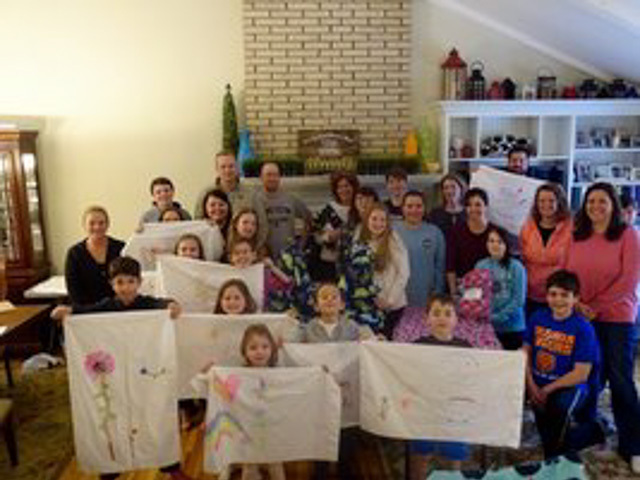 Creation of 70 fleece blankets for Brady’s Smile. 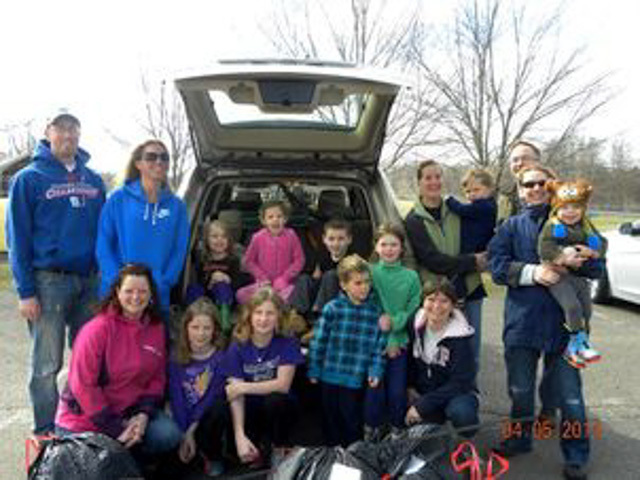 Donation of 200 containers of play dough and 76 boxes of crayons for their Brady’s comfort bags for the children. 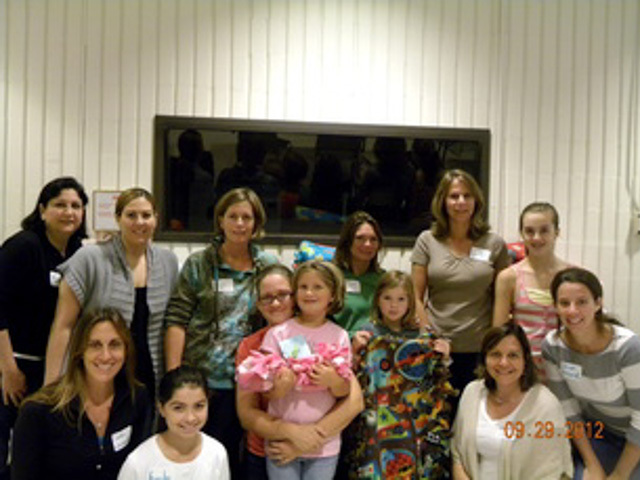 Members donated supplies for the creation of 100 Blessings Bags, which were donated to Bridgeport Rescue Mission in Bridgeport. 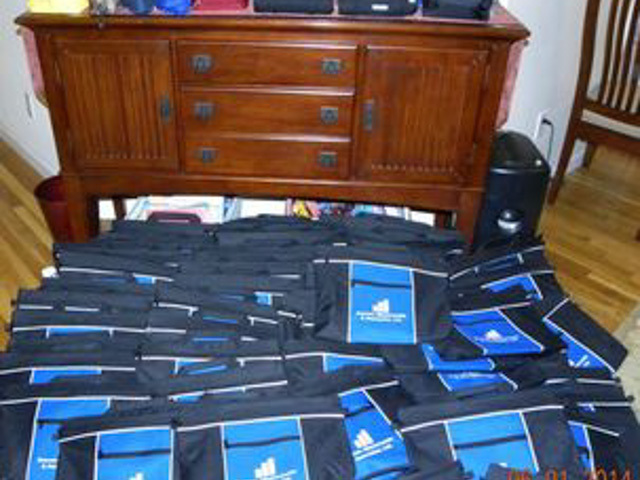 Assembly of 10 Care Caddies and 45 Blessings Bags for the men of Homes for the Brave in Bridgeport. 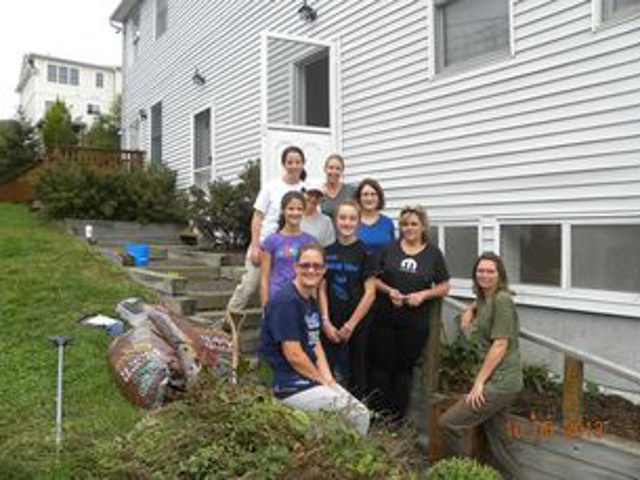 Execution of our own version of Extreme Make over: House Edition for Homes with Hope in Westport. 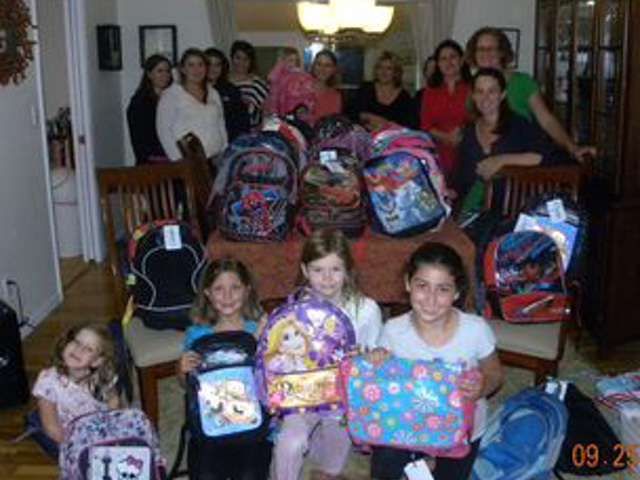 Donation of 60 backpacks, and tons of school supplies to the Pupil Service Department of Trumbull Public Schools and the Center for Women and Families in Bridgeport. 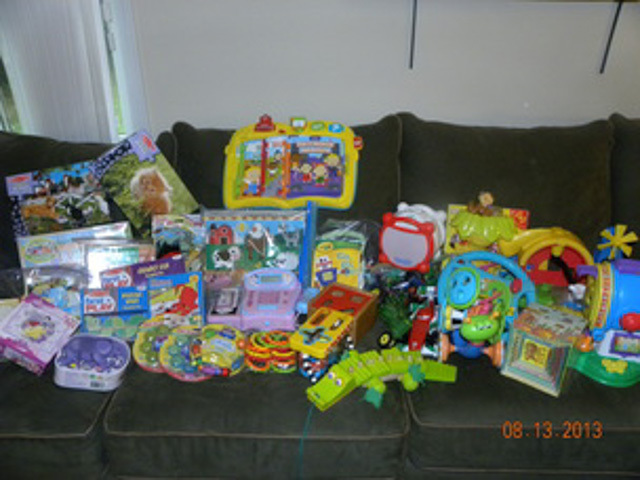 Donation of 50 new and gently used baby and toddler toys for Bridgeport Hospital’s Child life Department. 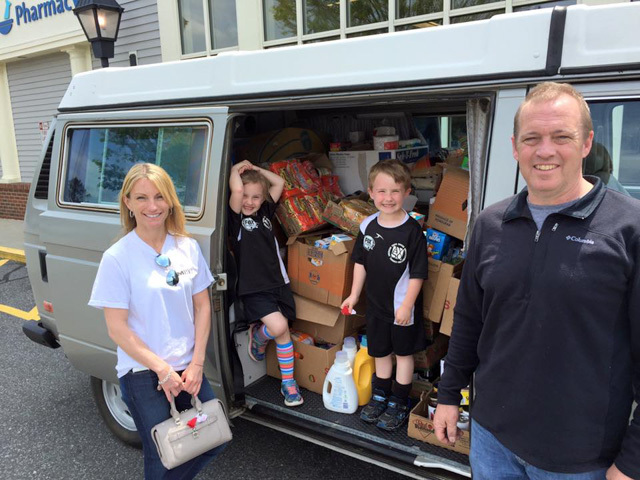 Food drive at Trumbull Stop & Shop. 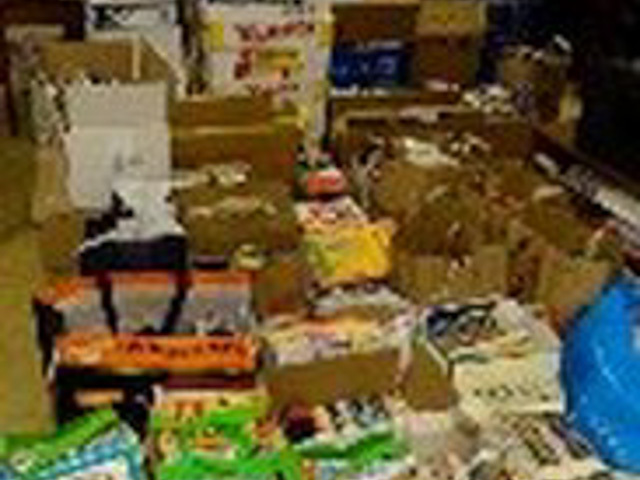 Collection of over 1,000 items and $475, which will be used to buy items in the future, for the Trumbull Food Pantry. 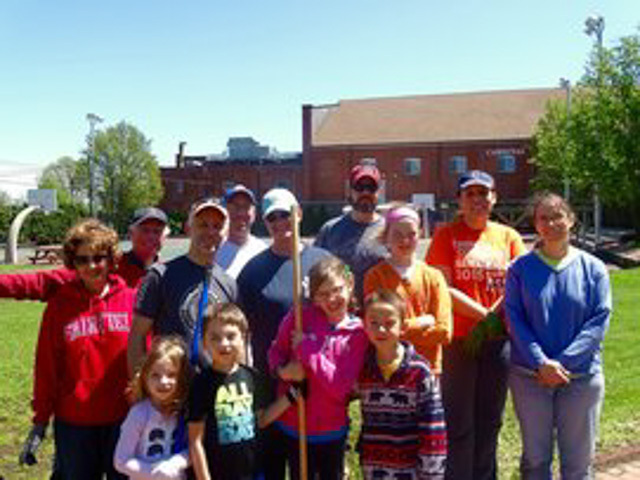 Clean up of a new parking lot for Caroline House in Bridgeport. 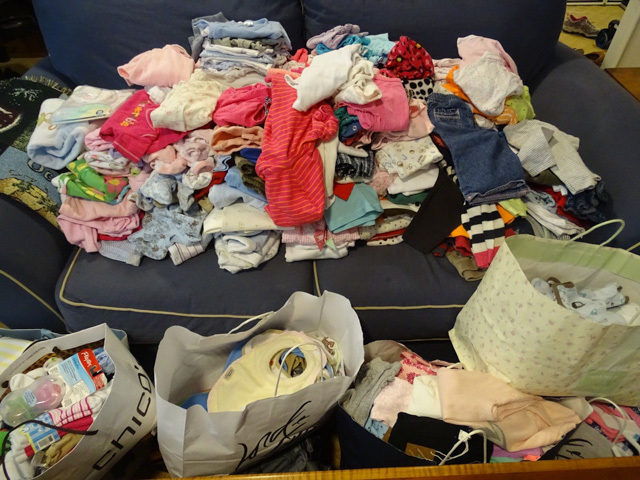 Donation of 25 pairs of pants for their preschool students, who are being potty trained, and $165 in gift cards to local grocery stores. 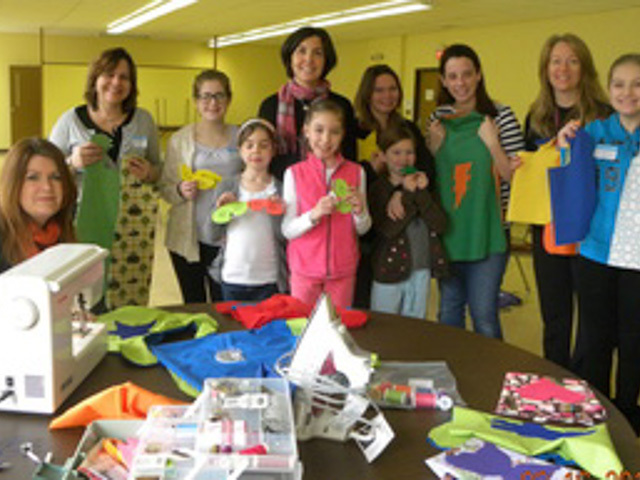 Sewing of 50 capes in support of Emmy’s Heart. 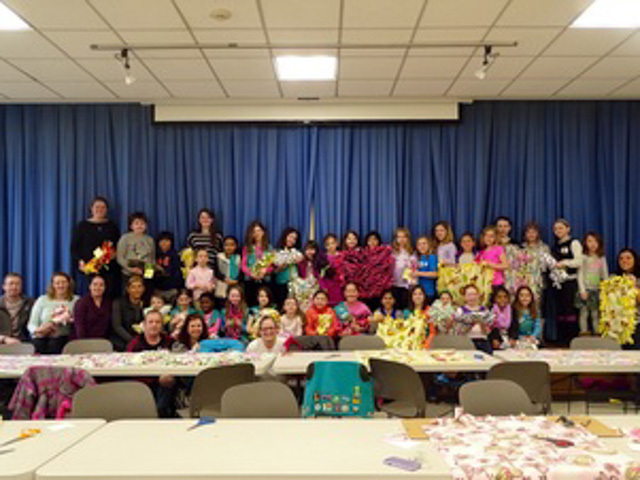 Emmy’s Heart volunteers create tutus and crowns for young children undergoing treatment for serious illnesses or disabilities at Yale New Haven Children’s Hospital. Donation of over 30 DVDs to the Child Life Department of Bridgeport Hospital. 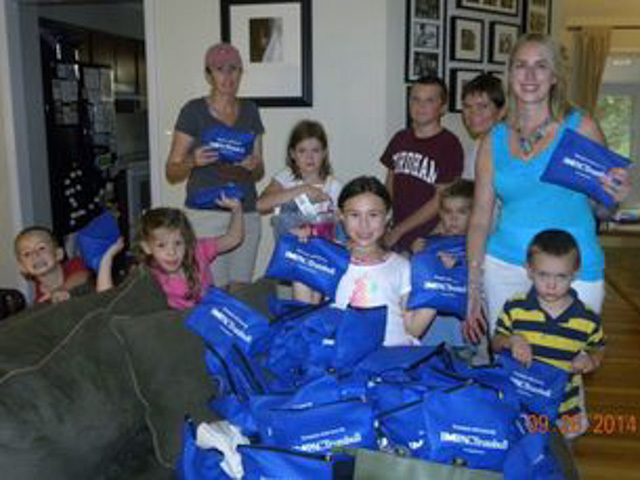 Assembly of 100 Blessings Bags to Bridgeport Rescue Mission. 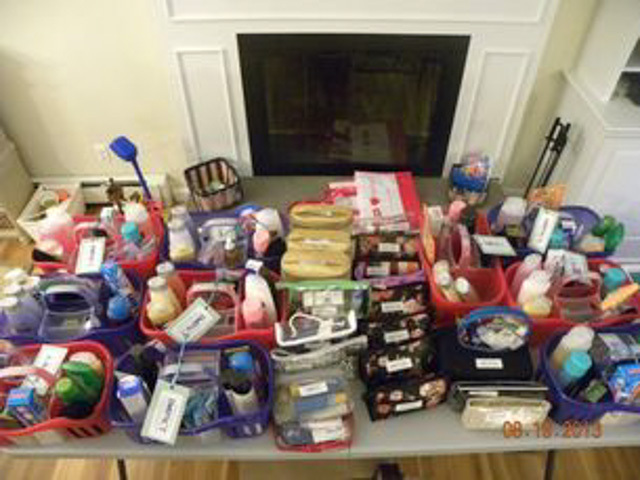 “Night of pampering” for female veterans who reside at Homes for the Brave in Bridgeport. 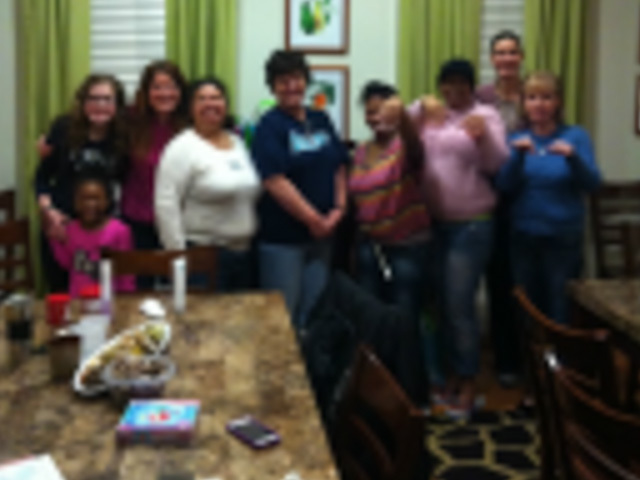 We brought goodie bags for each of the residents, cooked and served a home made meal- with a little help from our friends at Fratello’s in Monroe- and then pampered the women with manicures, pedicures and facials. Staffing of the Volunteer Call Center for Newtown for the day. 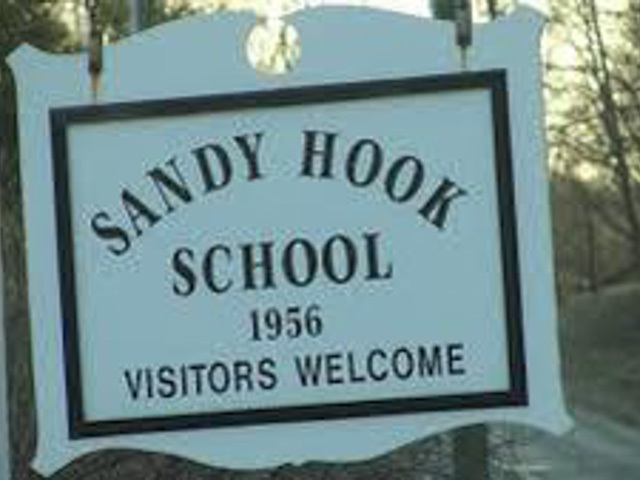 Each day, the center fields calls from hundreds of people from around the country who want to donate and support the victims and survivors of the Sandy Hook tragedy. Over 15 members put their baking skills to good use! 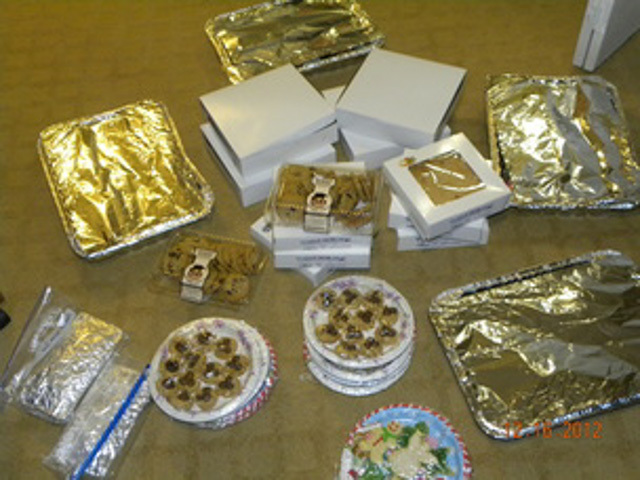 We whipped up 2 dozen pies, various brands, almost 100 cupcakes and well over a hundred cookies to donate to the Trumbull Food Pantry. Pantry staffers gave out the treats to patrons the week before Christmas. 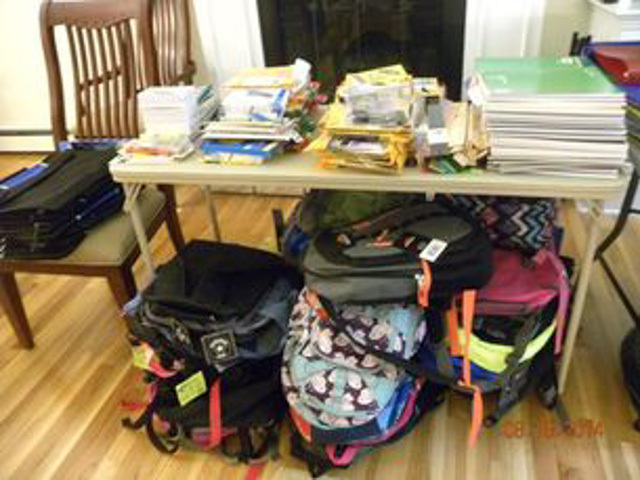 Collection of over 60 back packs and lunch boxes hundreds of school supplies, ranging from notebooks and folders donated by Target Hawley Lane, and pens, rulers, erasers, pencils, and cases donated by members. 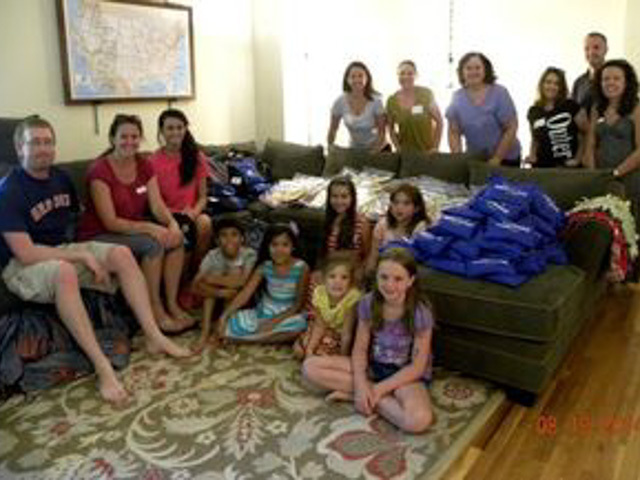 We assembled 45 full back packs to give to the Center for Women and Families.